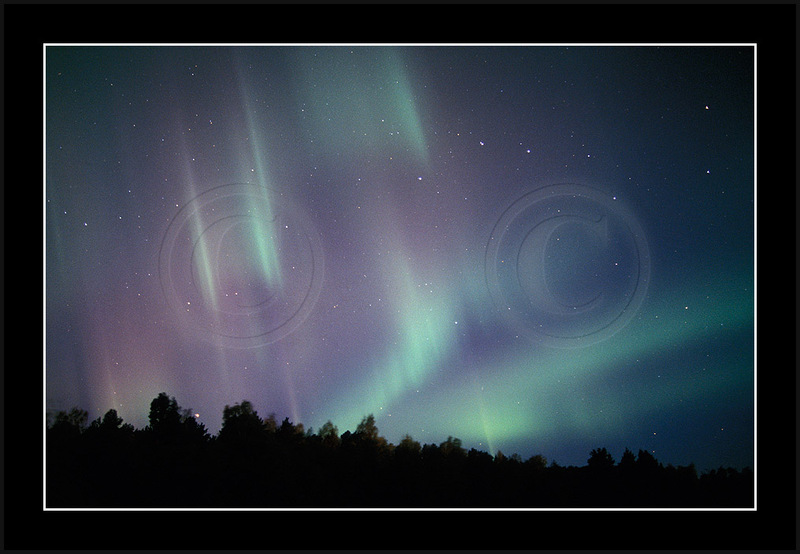 14/15 Oct 2003 there was a short lived and fiercy eruption around 21:25 local time. 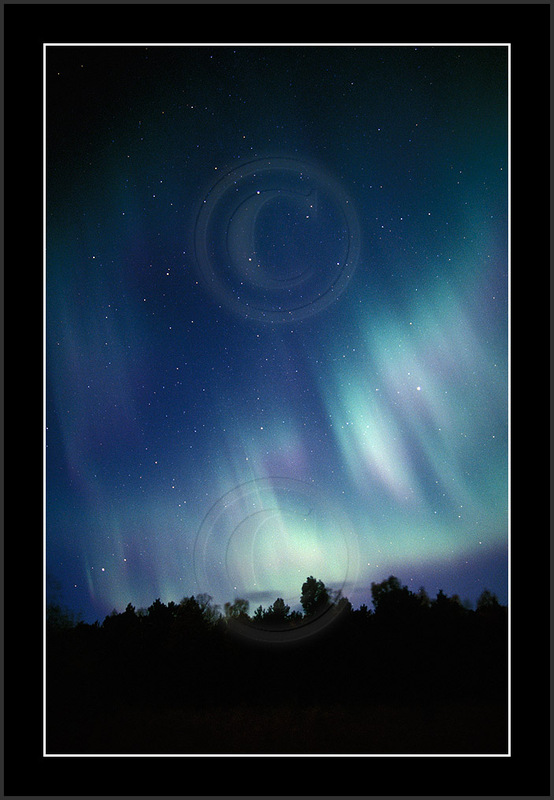 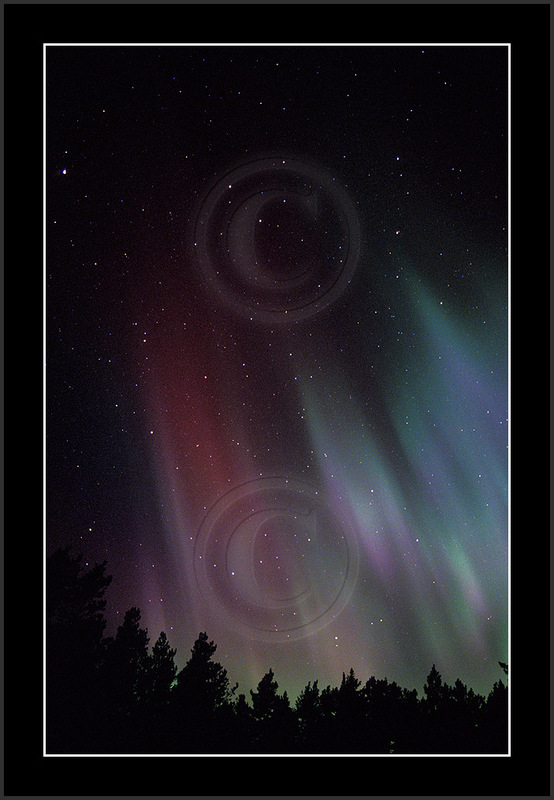 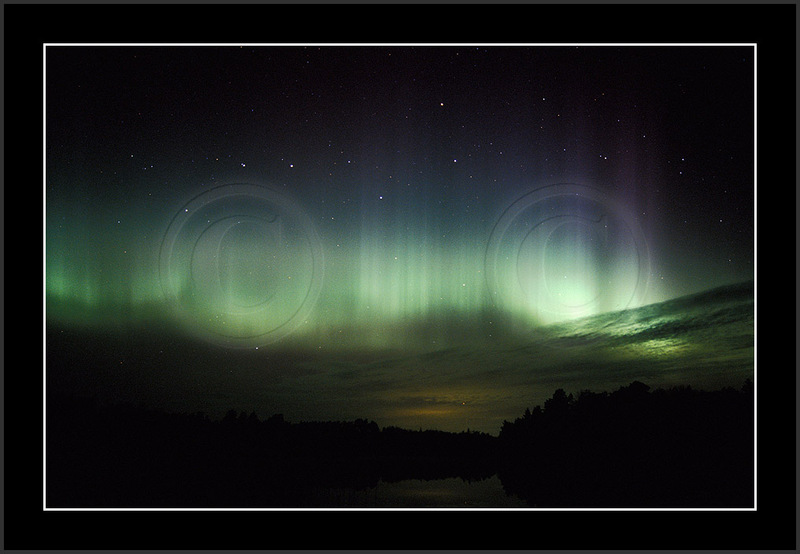 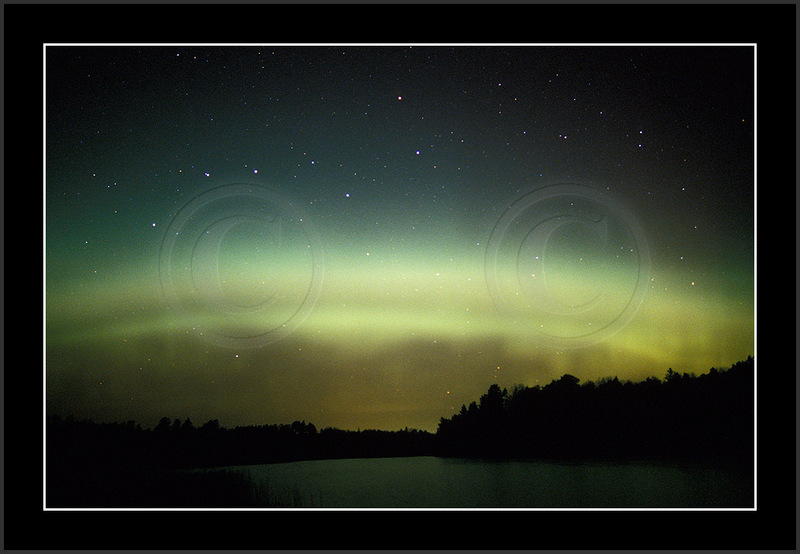 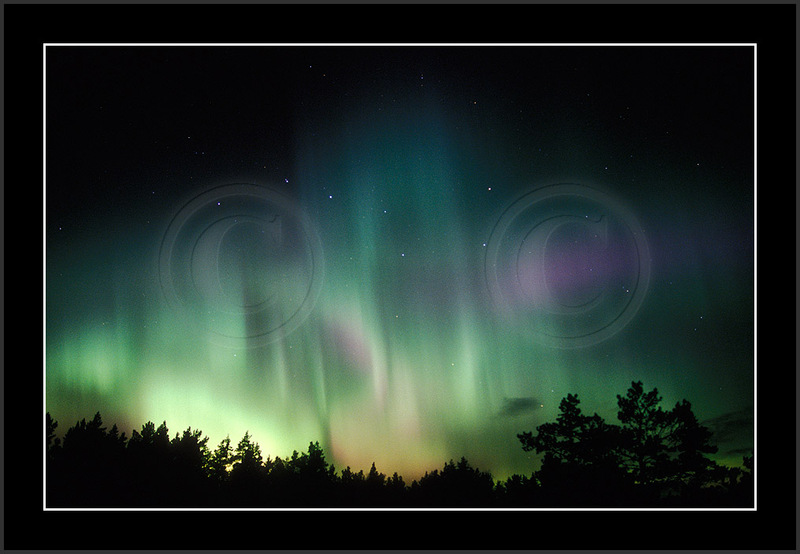 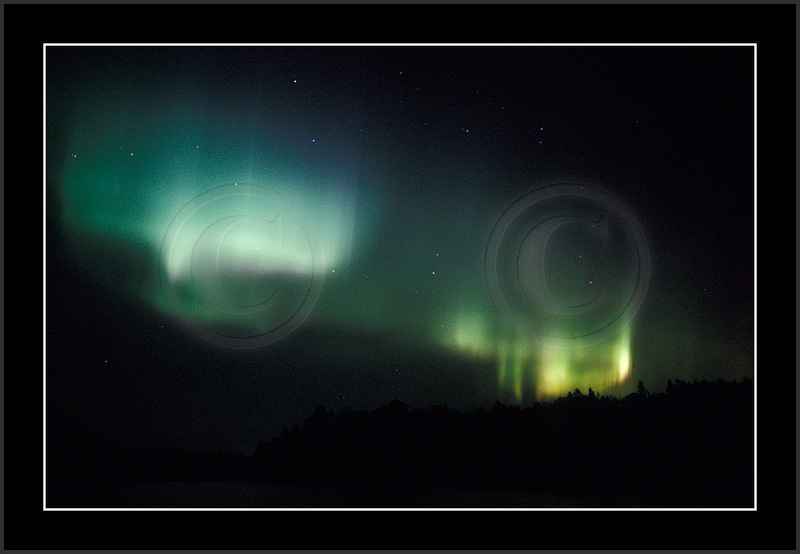 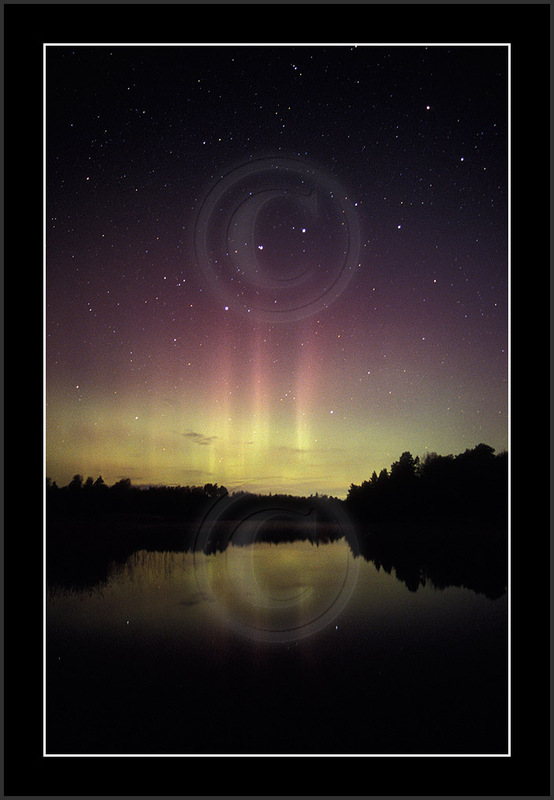 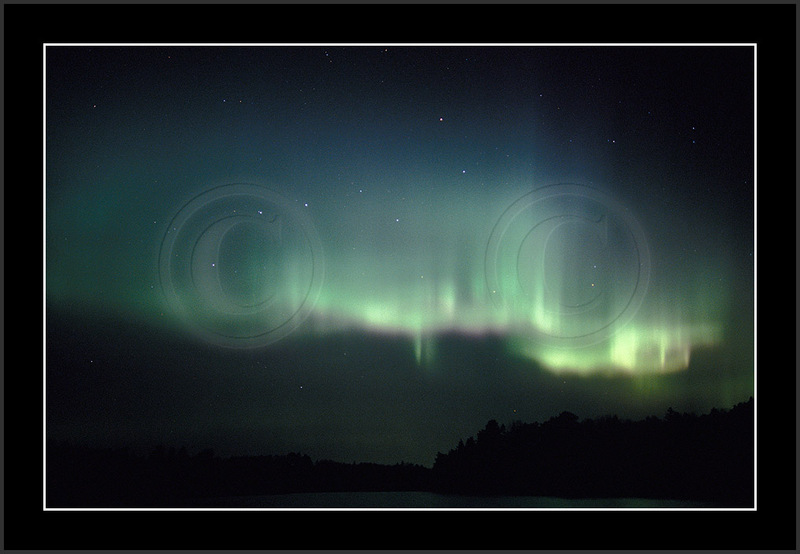 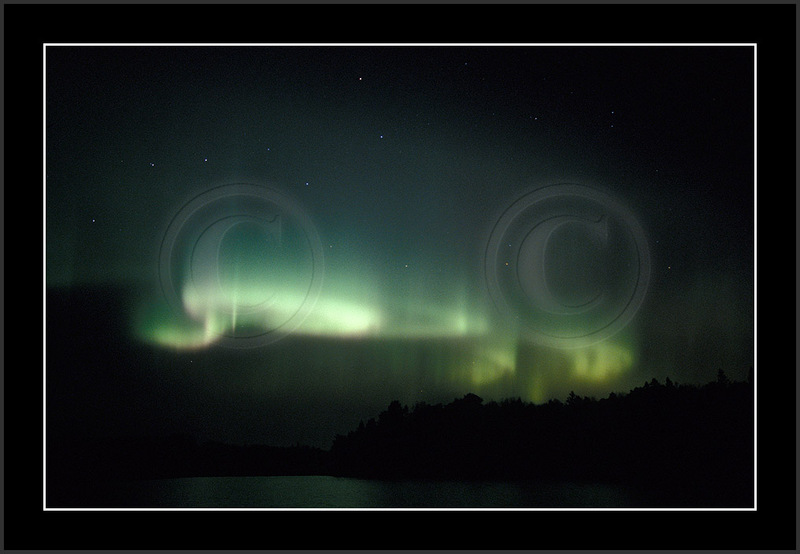 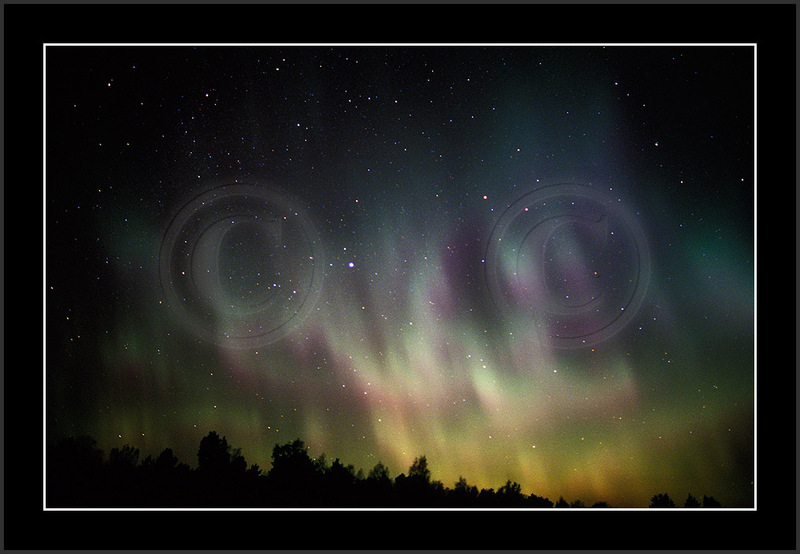 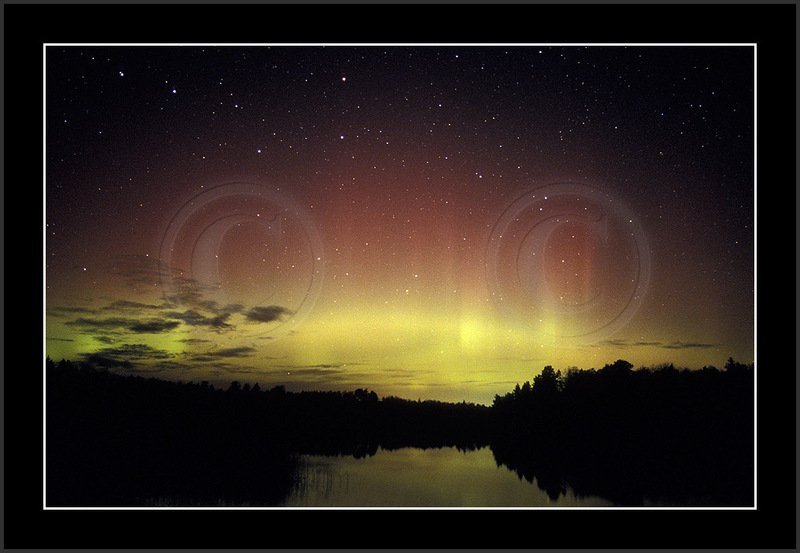 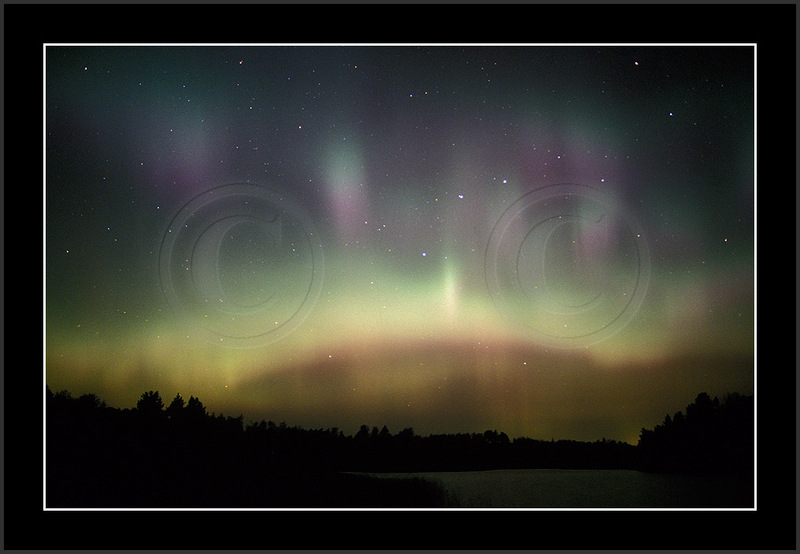 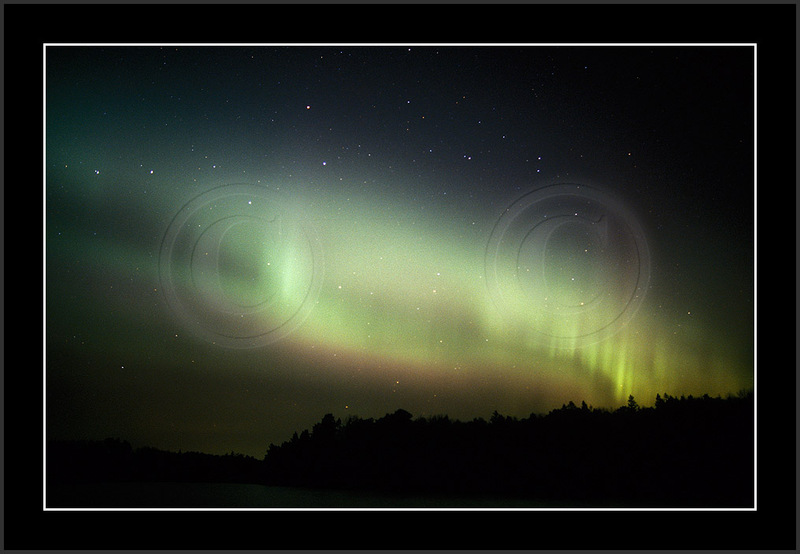 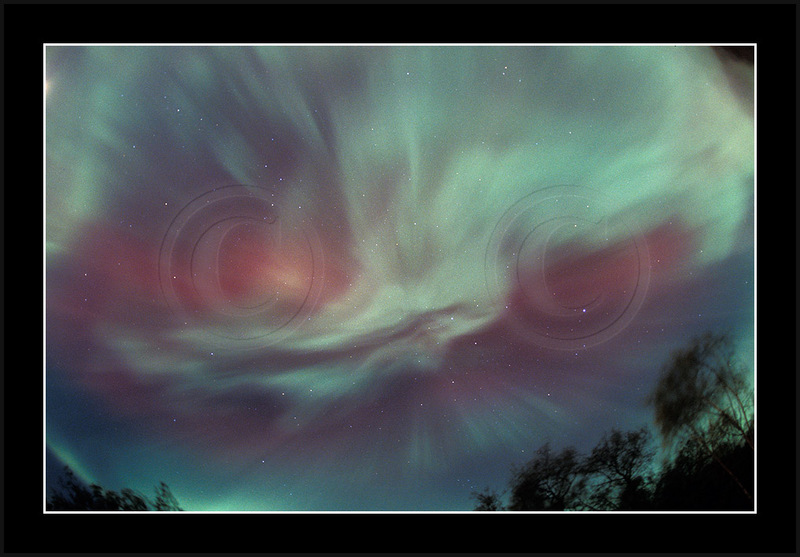 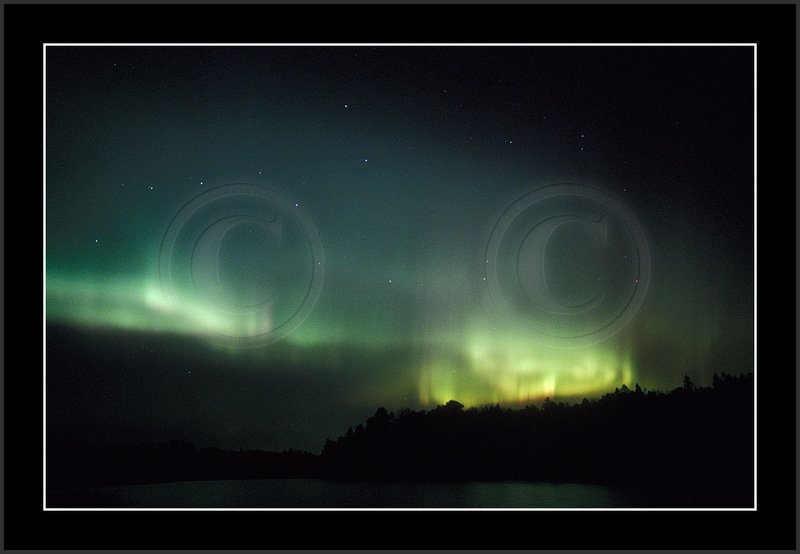 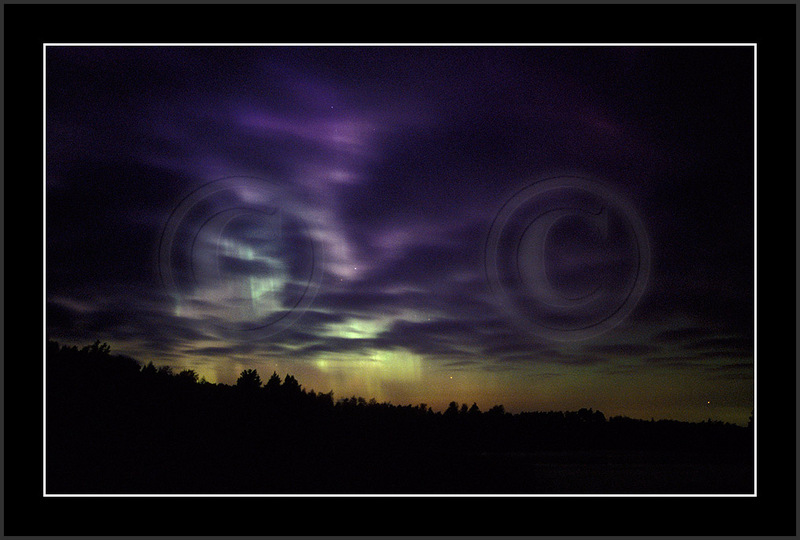 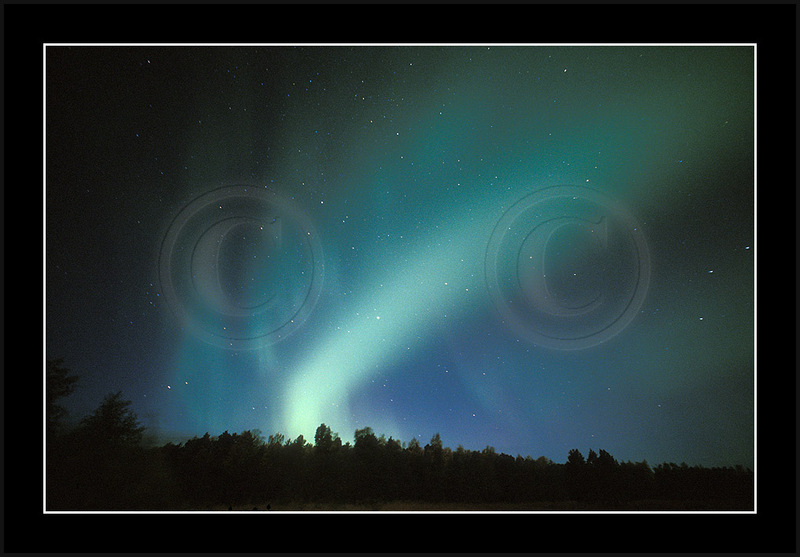 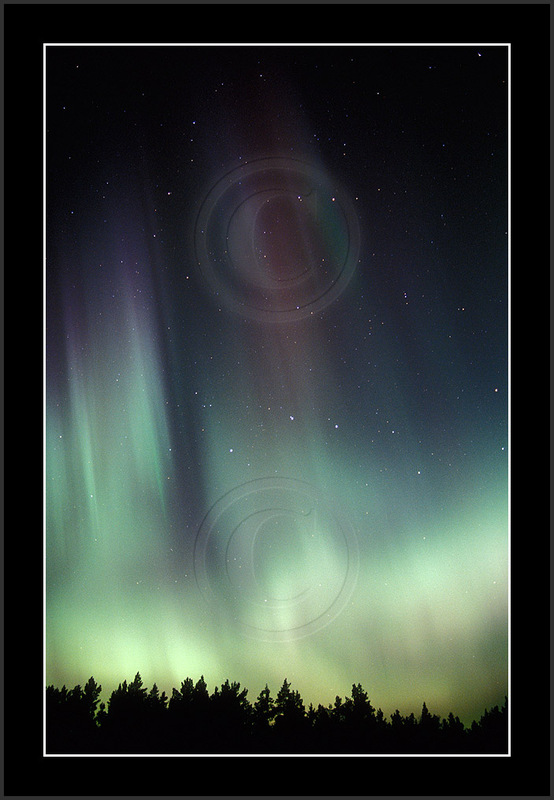 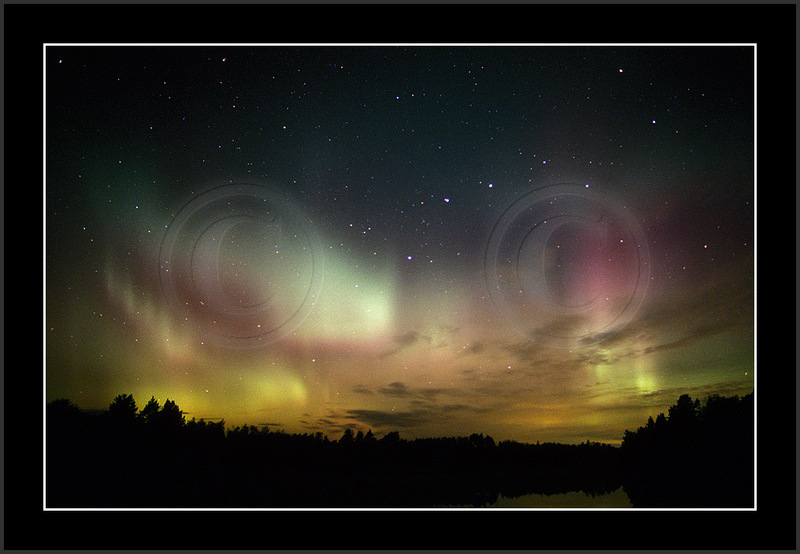 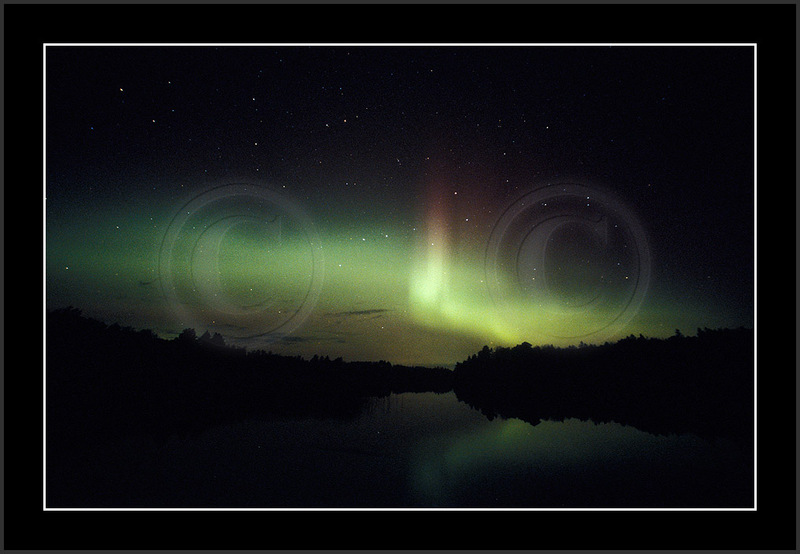 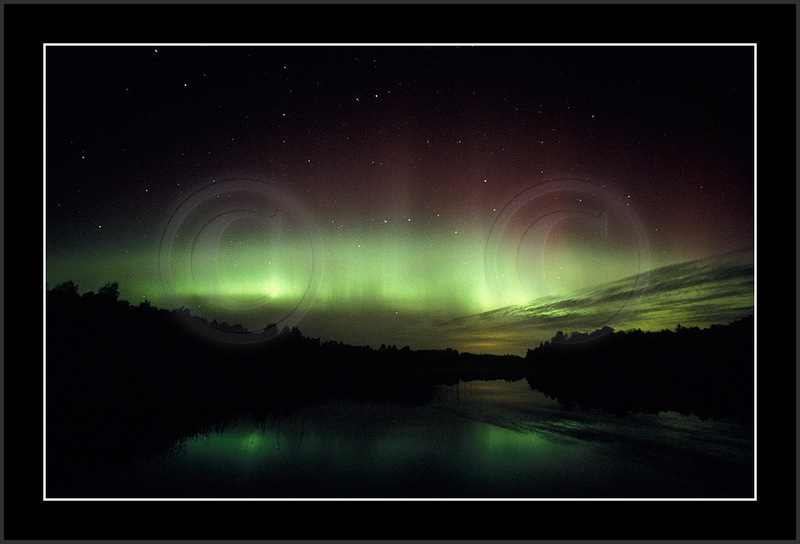 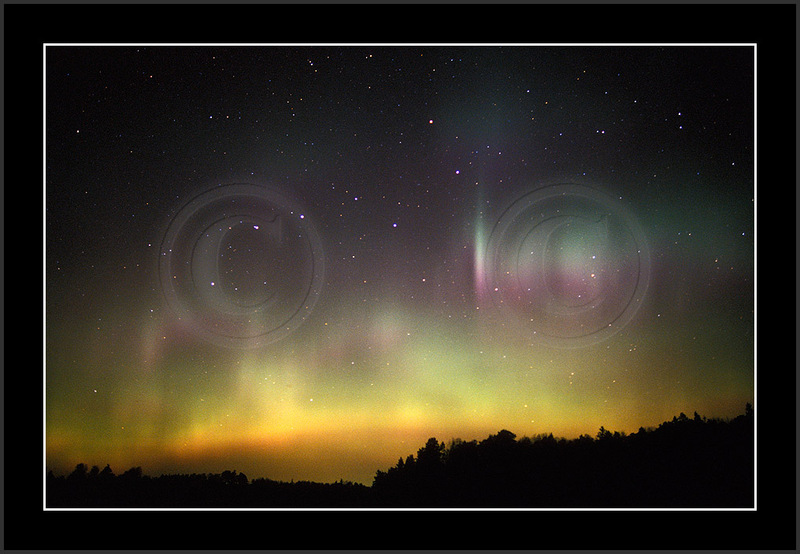 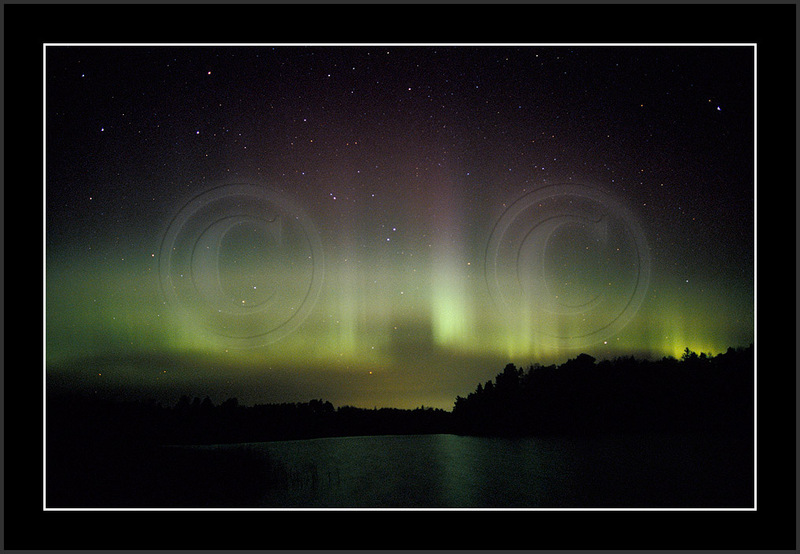 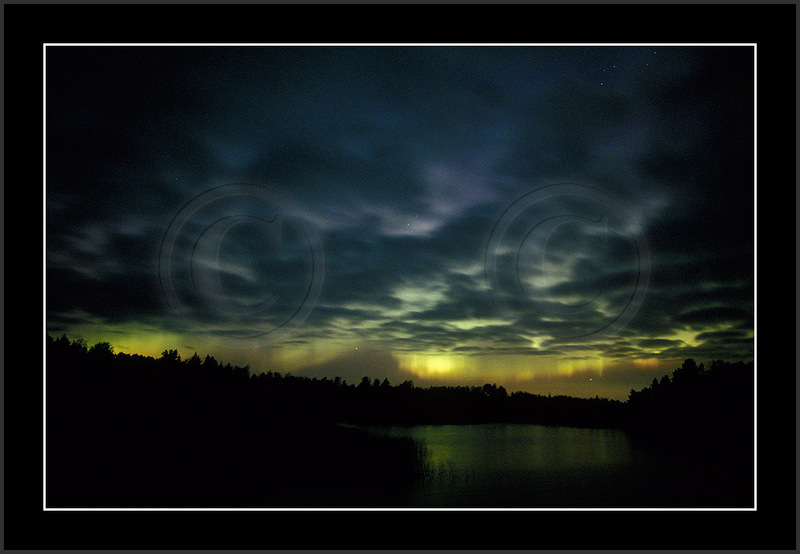 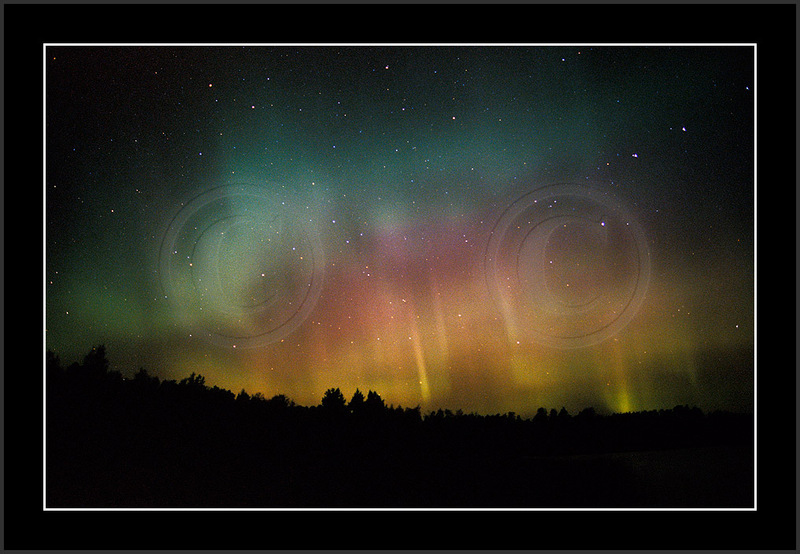 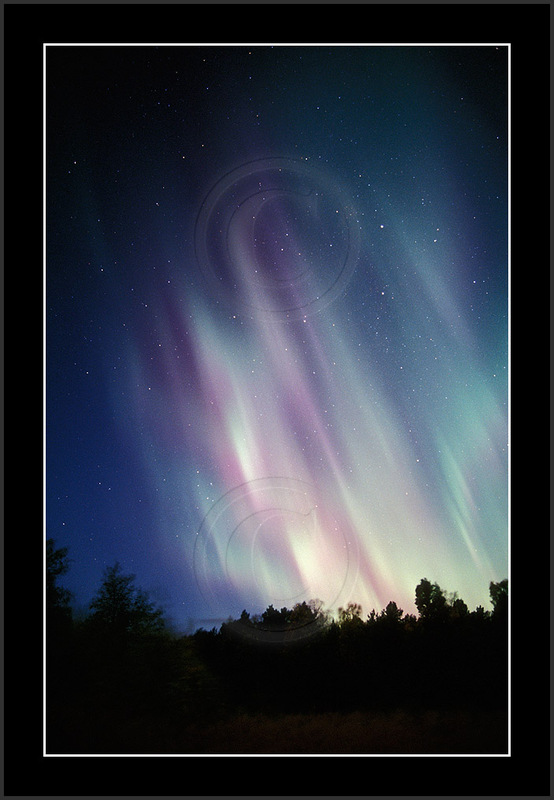 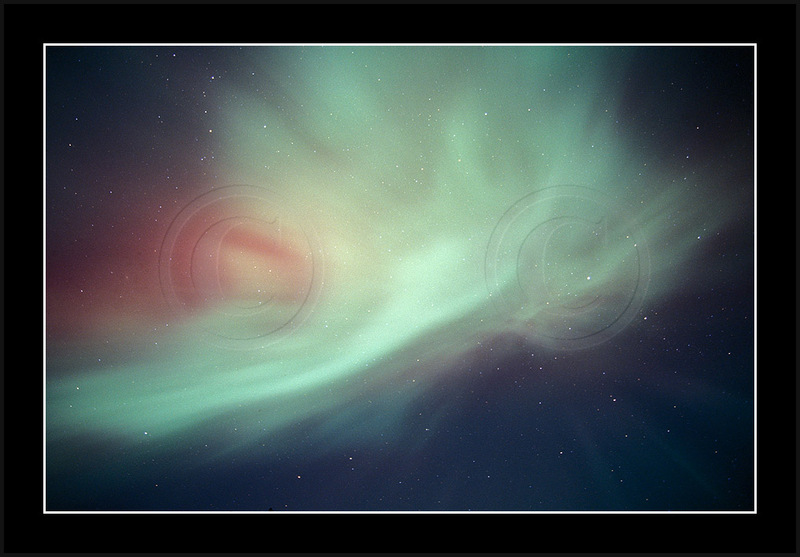 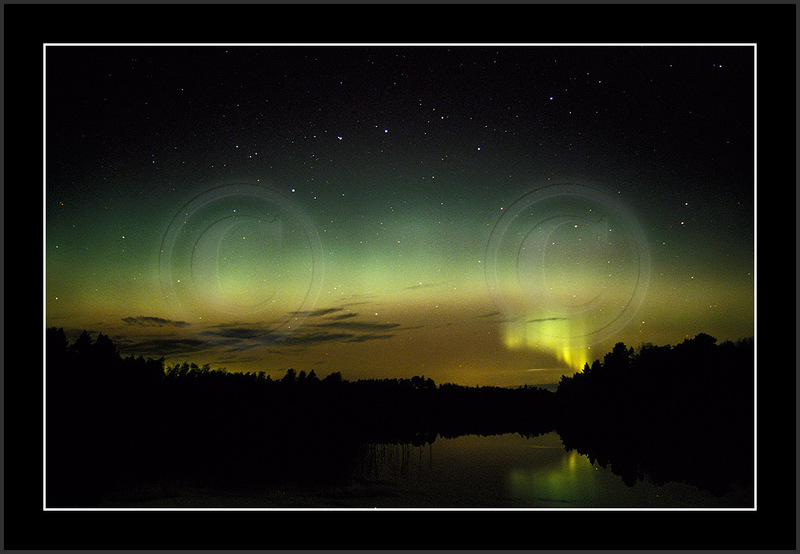 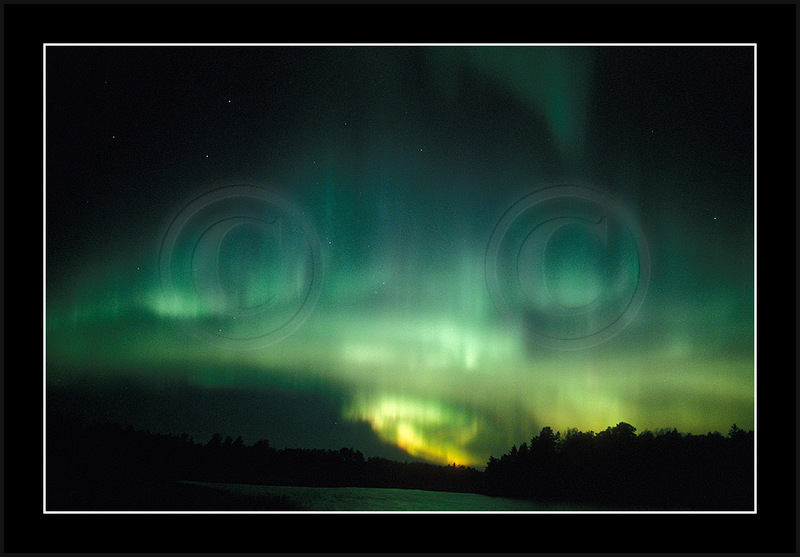 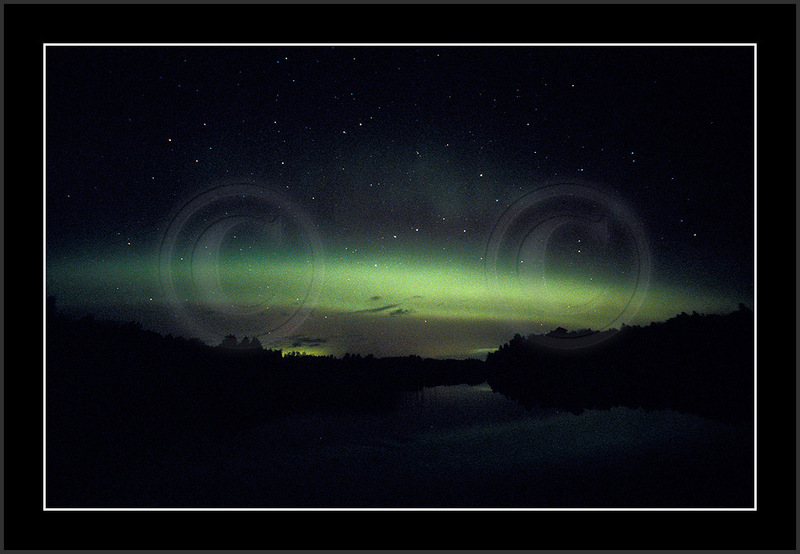 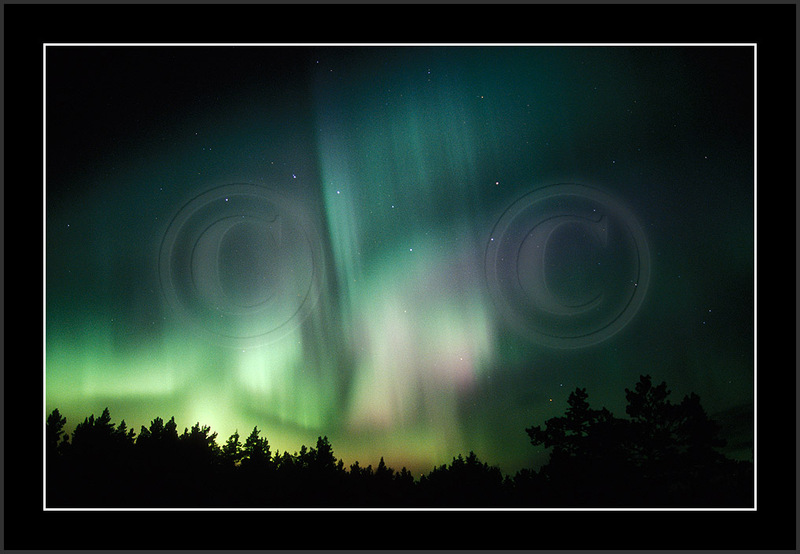 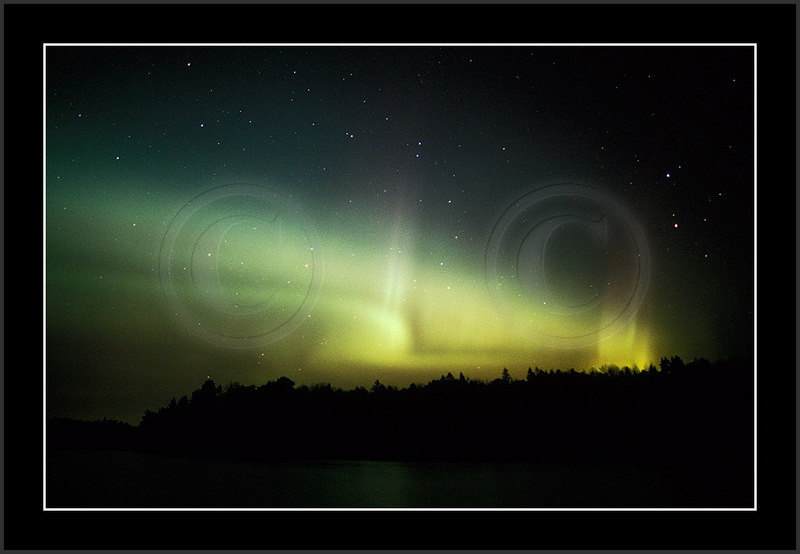 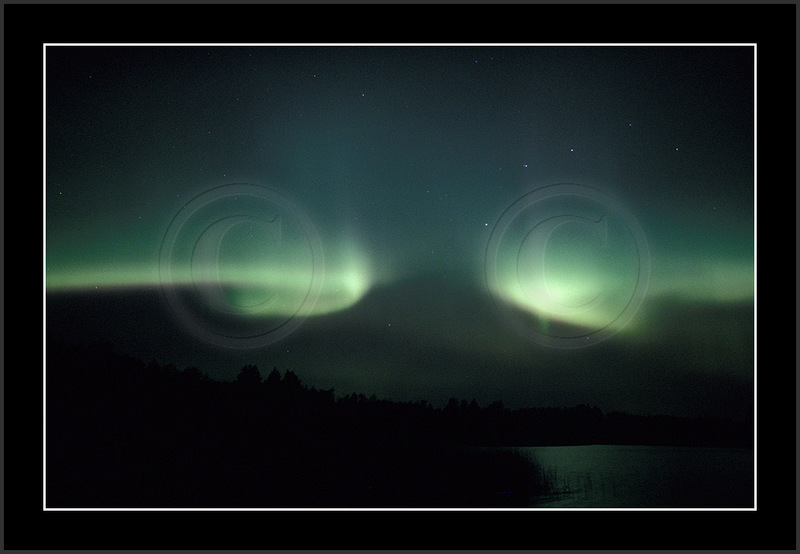 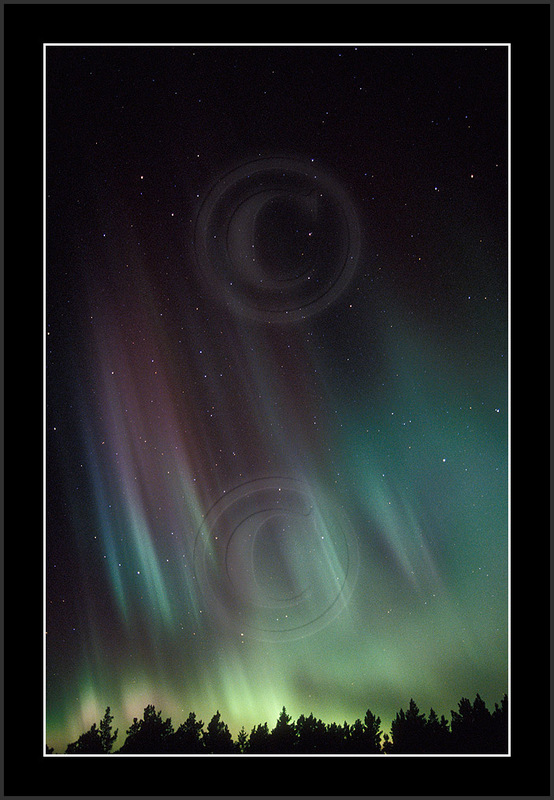 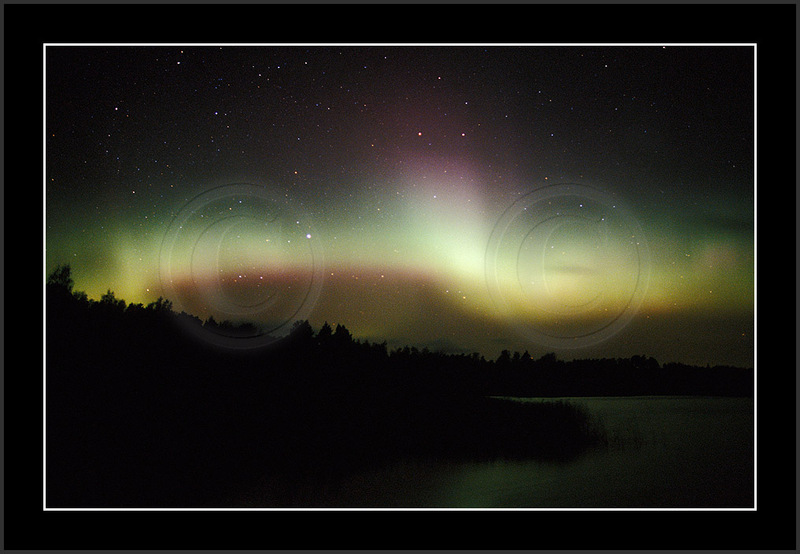 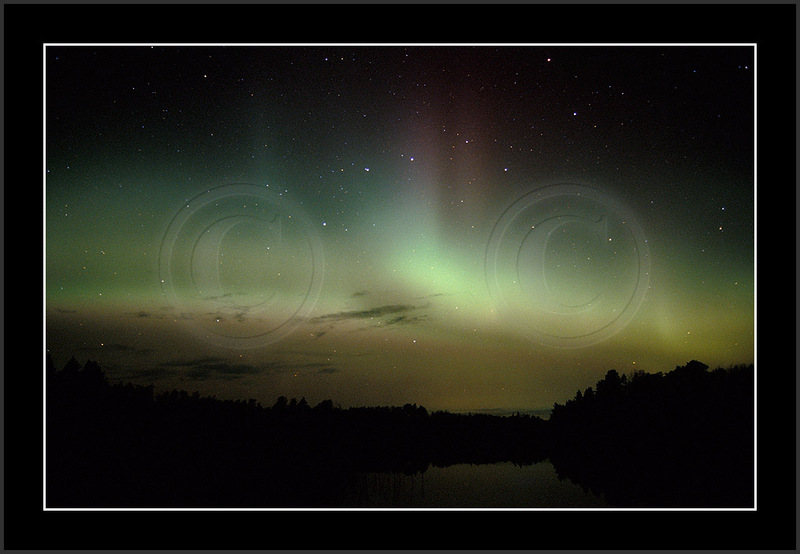 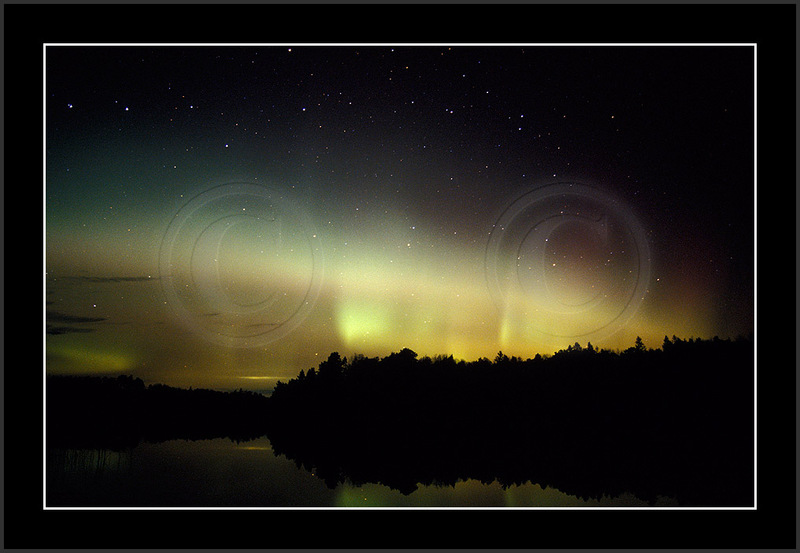 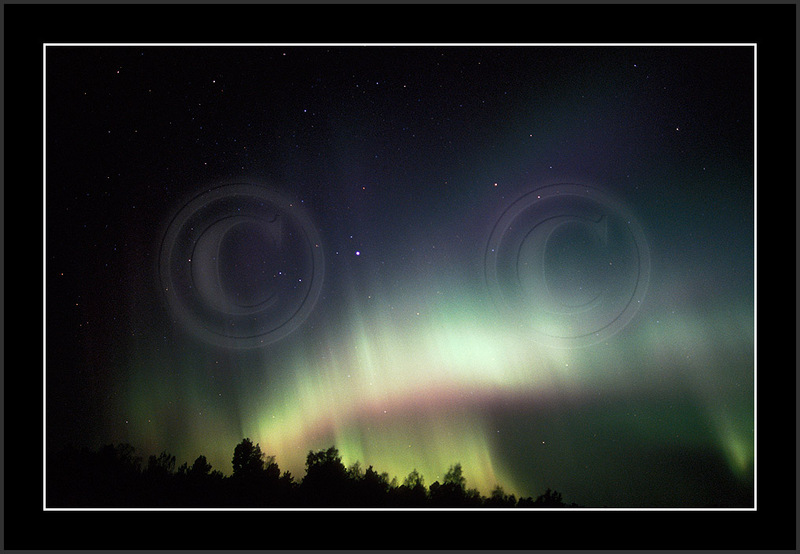 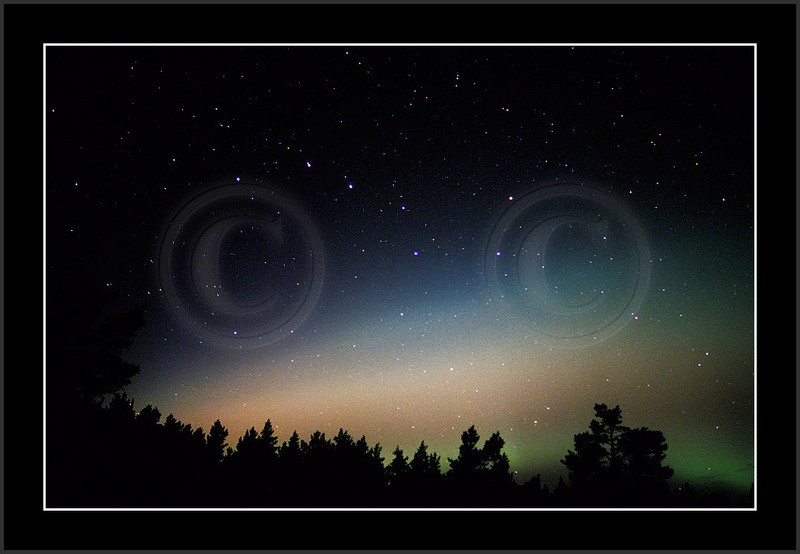 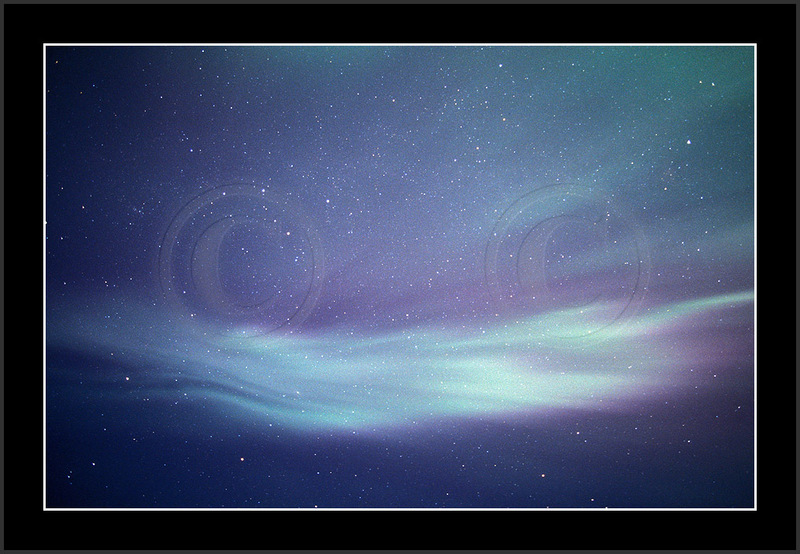 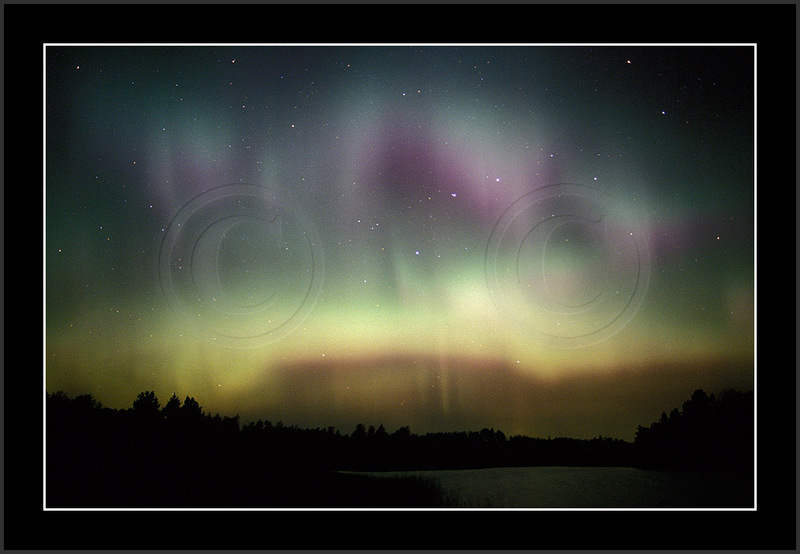 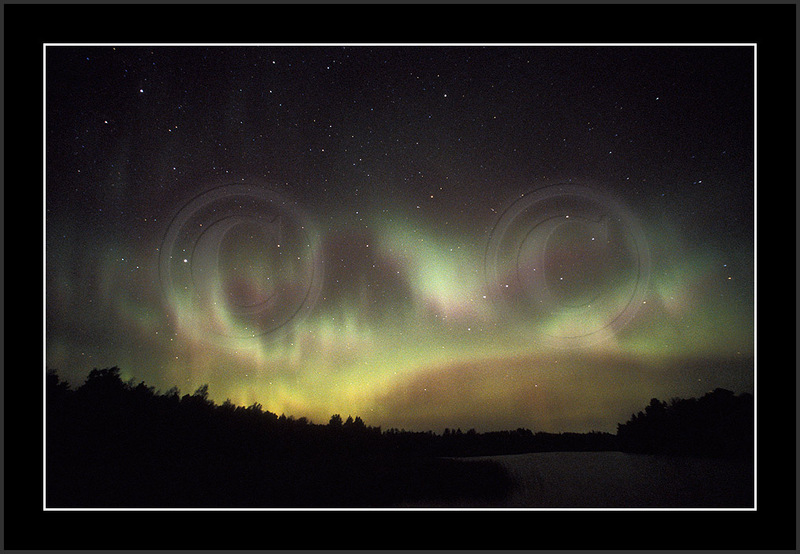 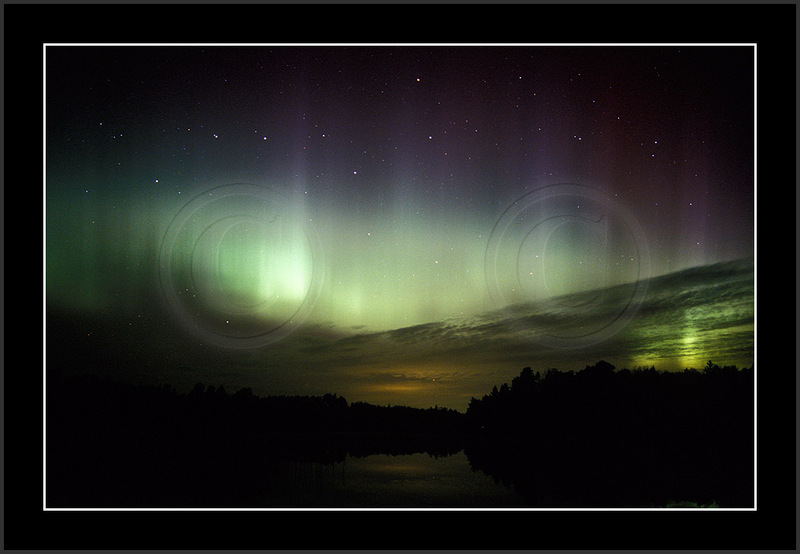 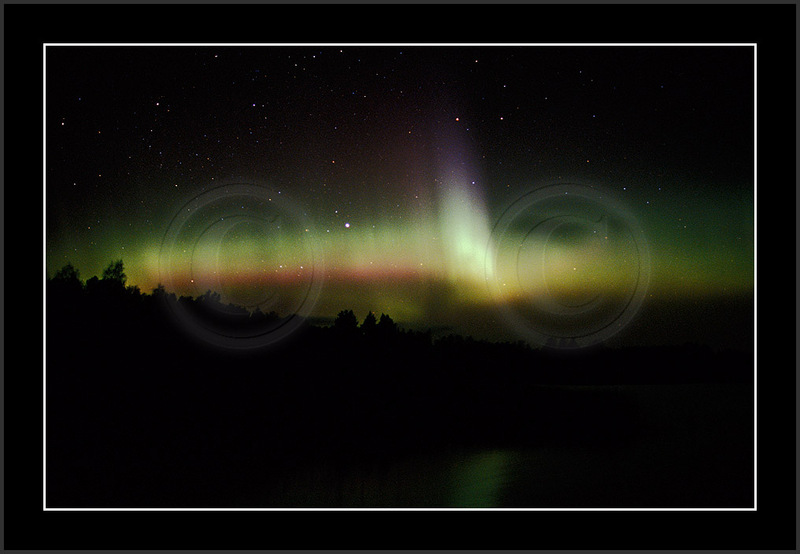 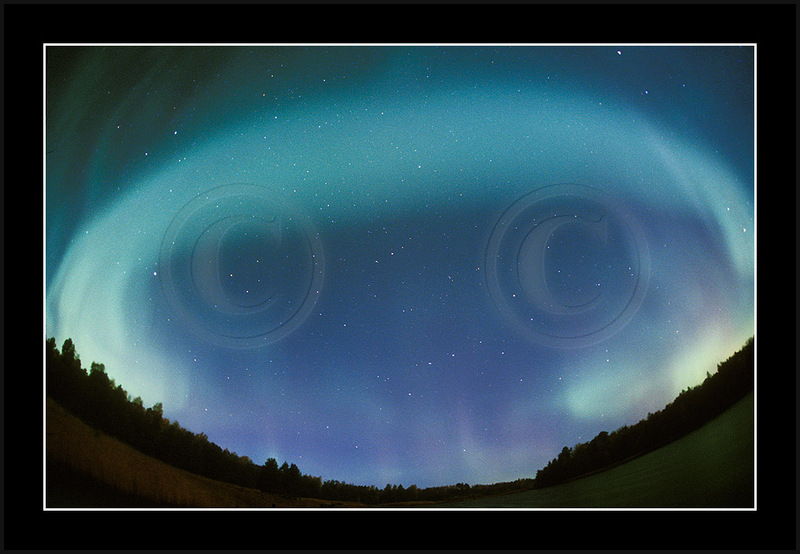 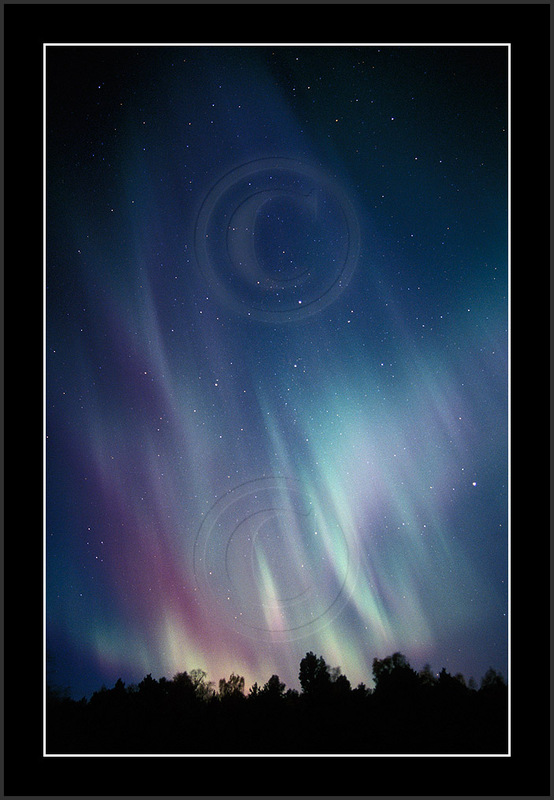 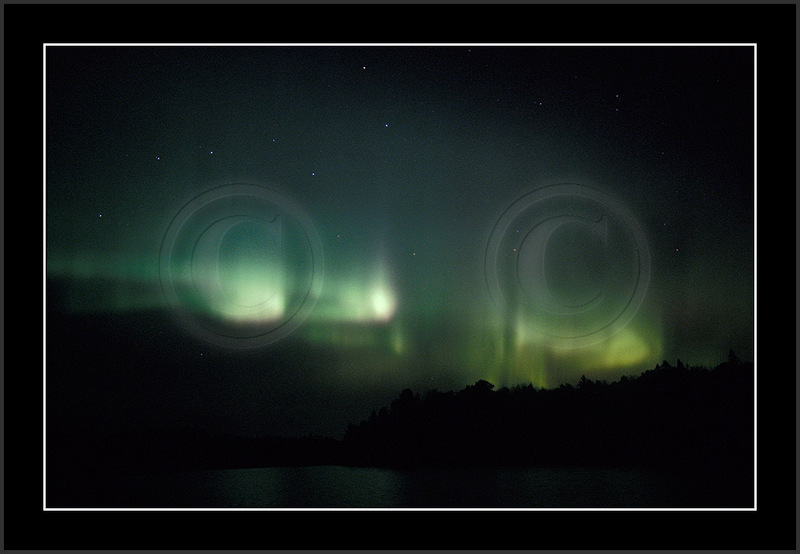 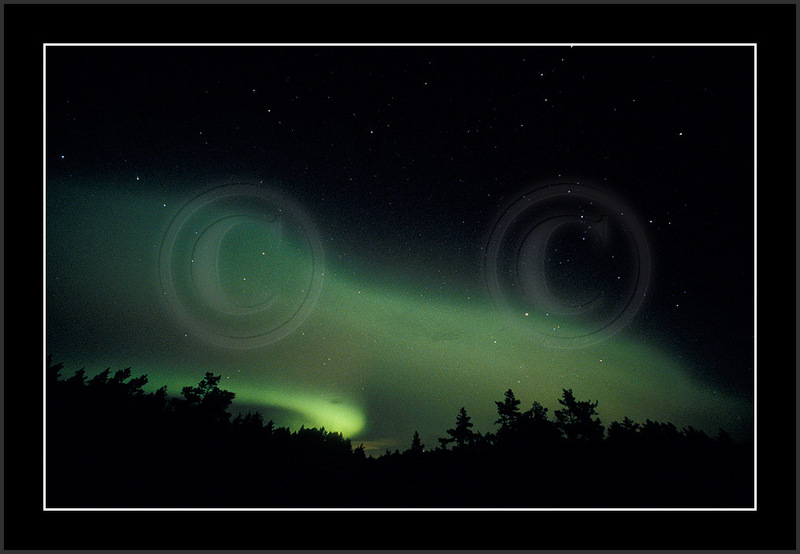 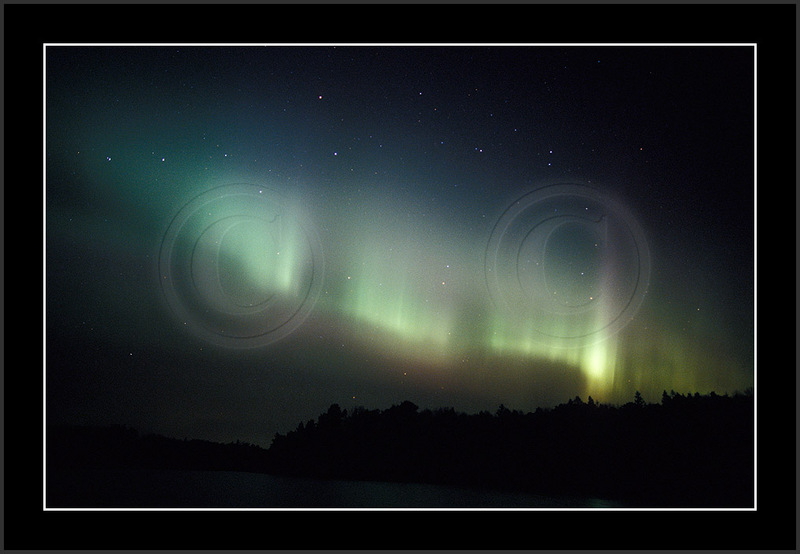 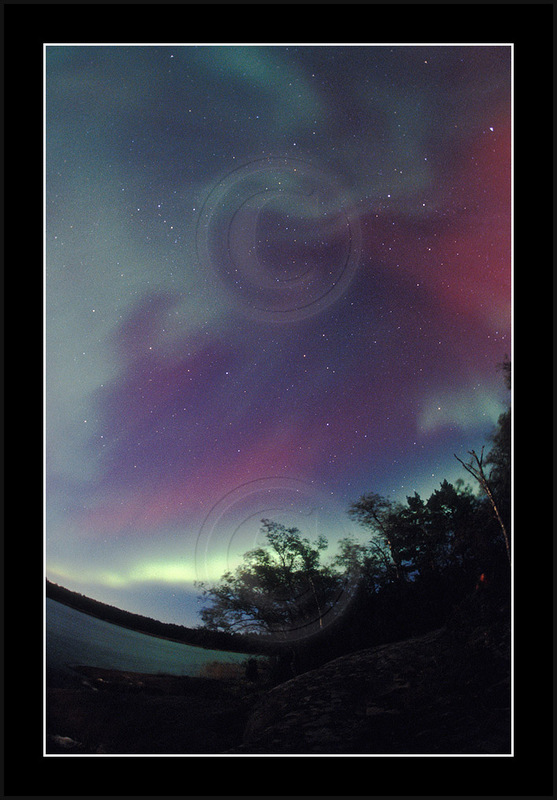 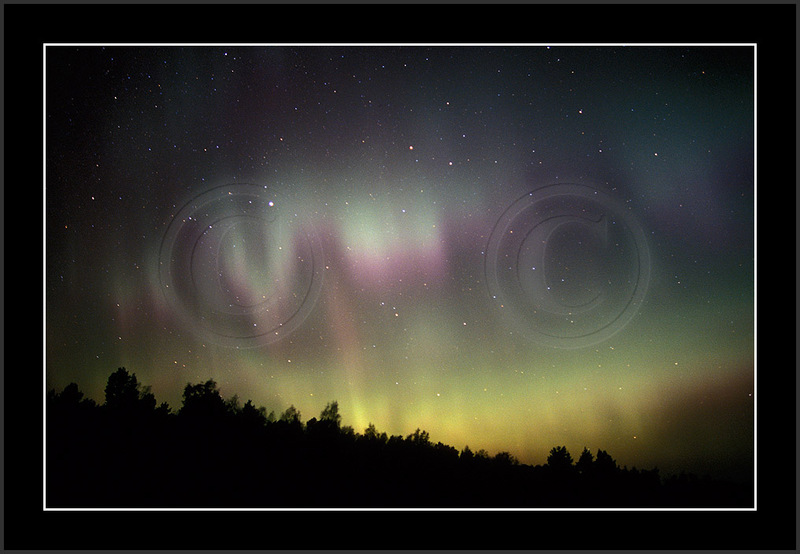 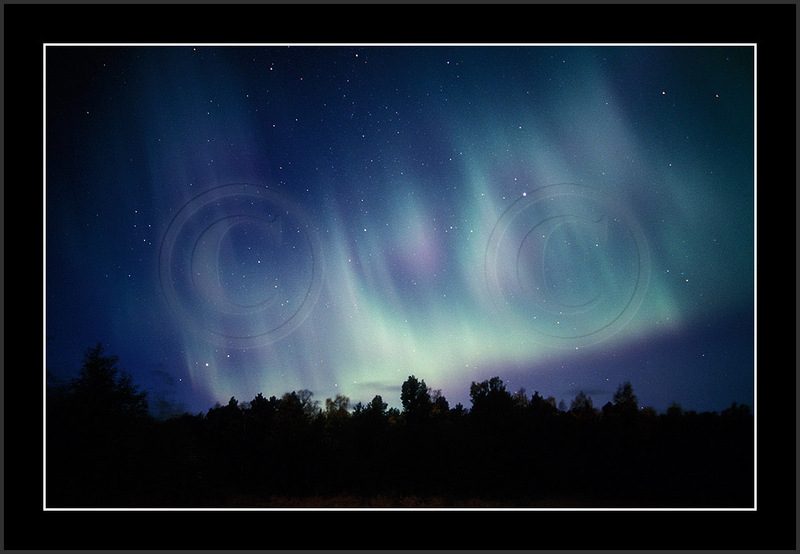 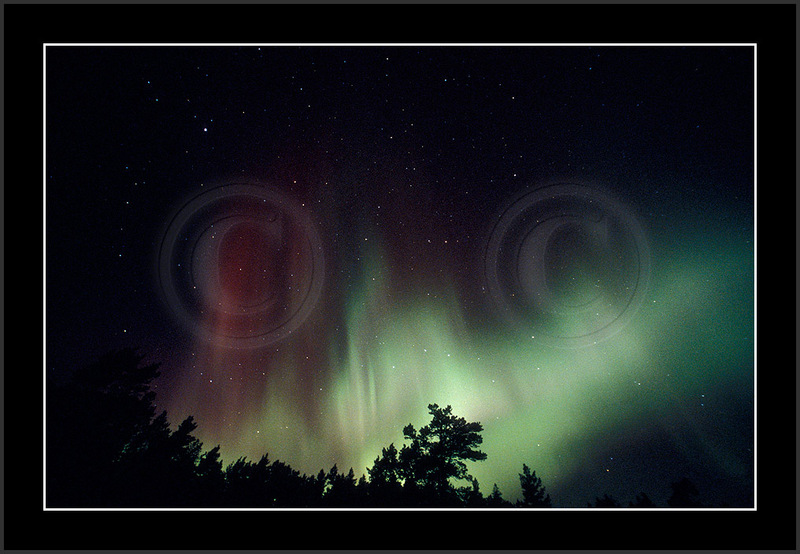 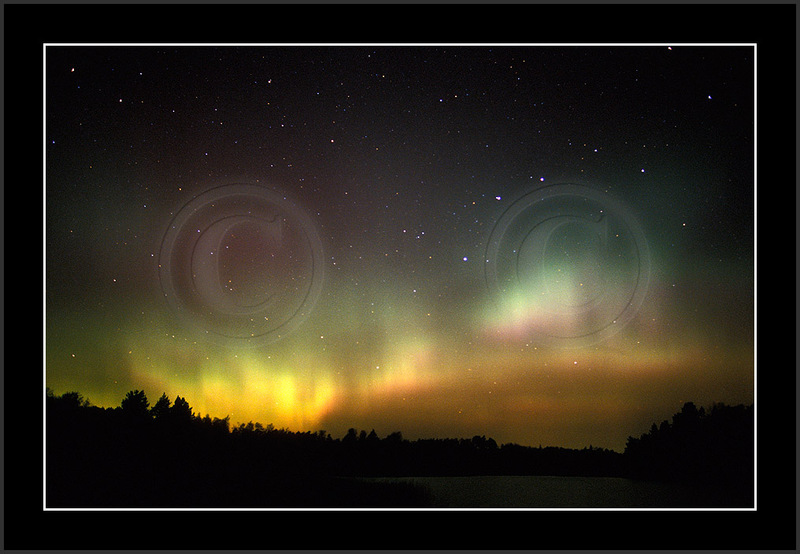 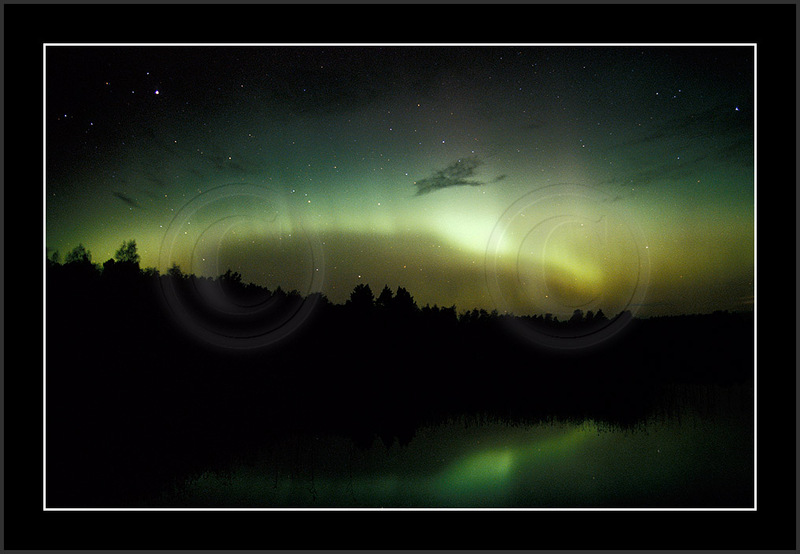 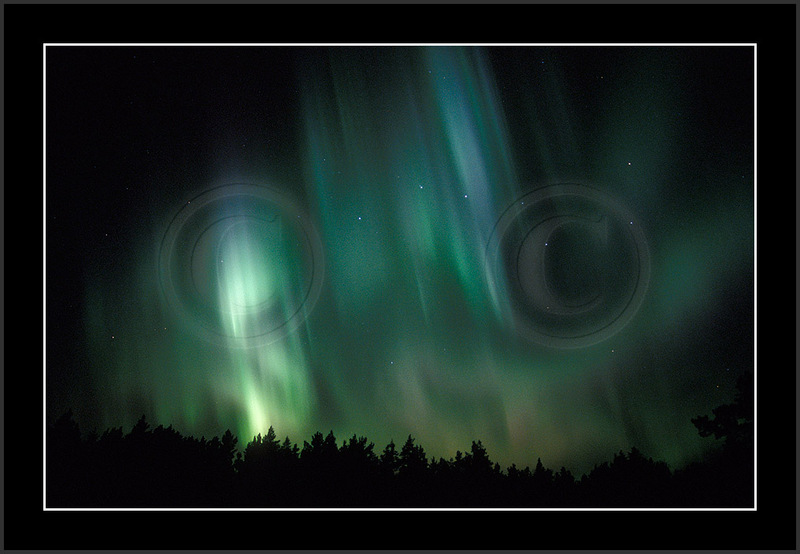 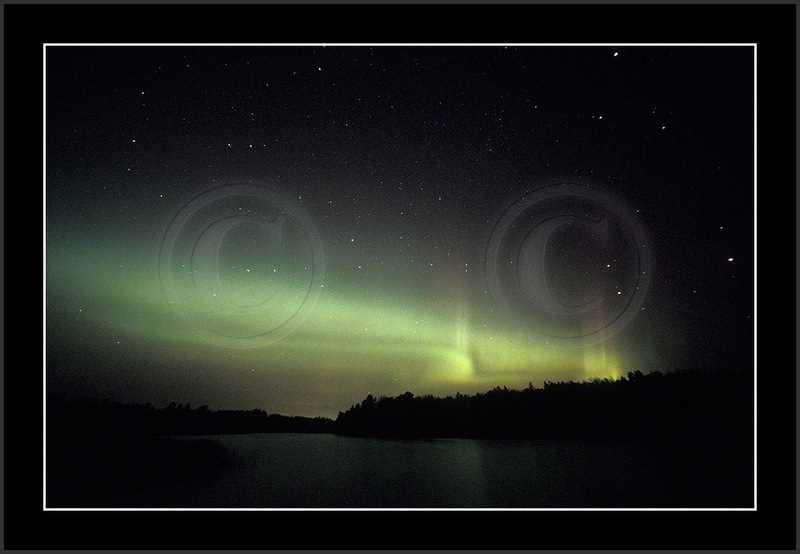 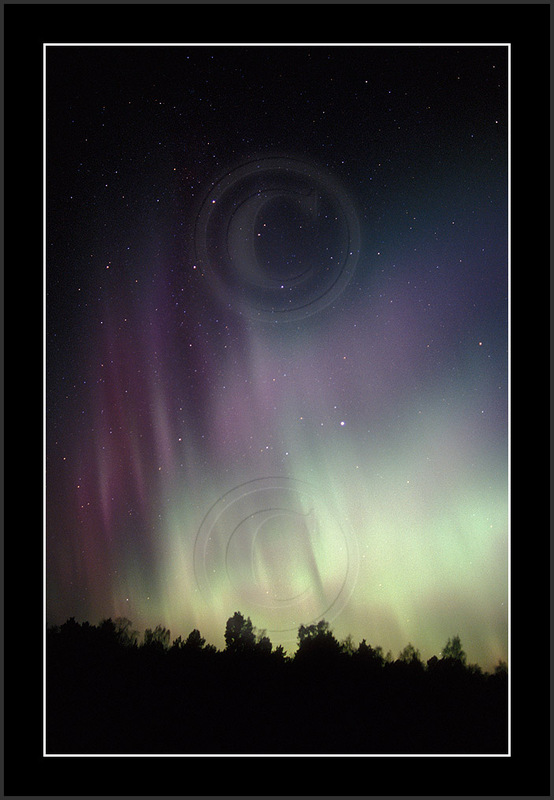 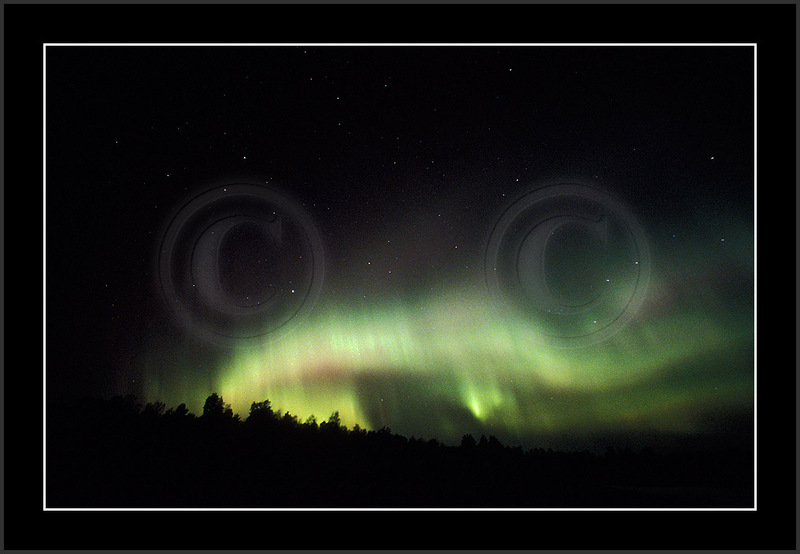 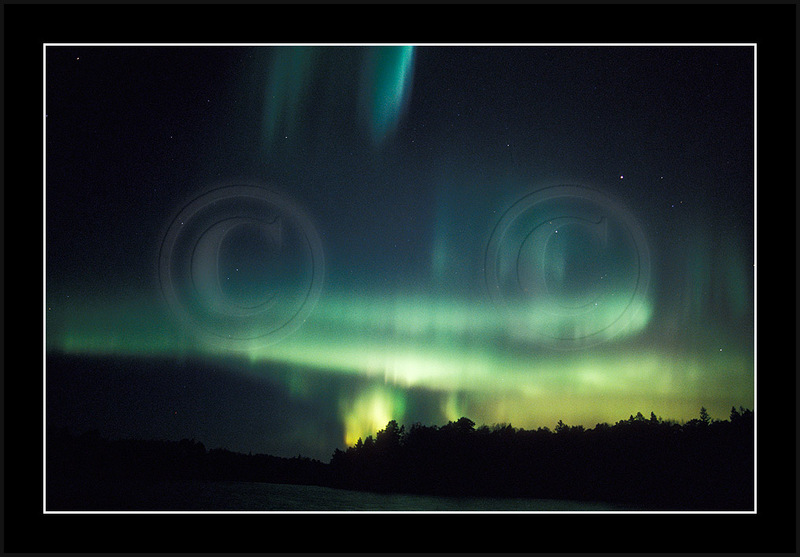 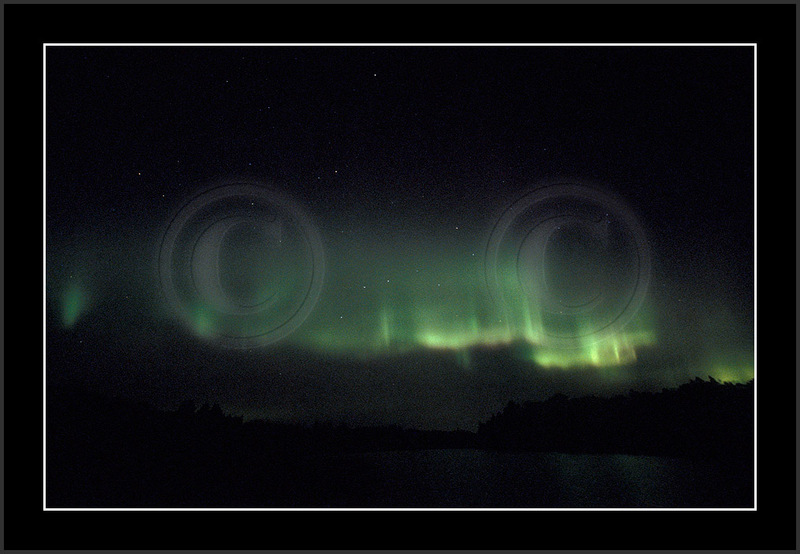 Aurora motion was exceptionally fast and this did not allow to capture fine details during the brightest phase. 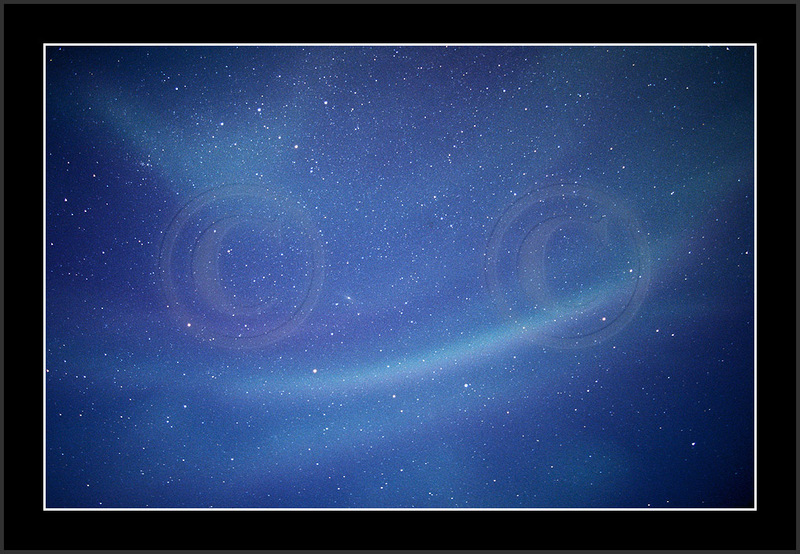 Due to gibbous moon sky was a bit lit up by moonlight. 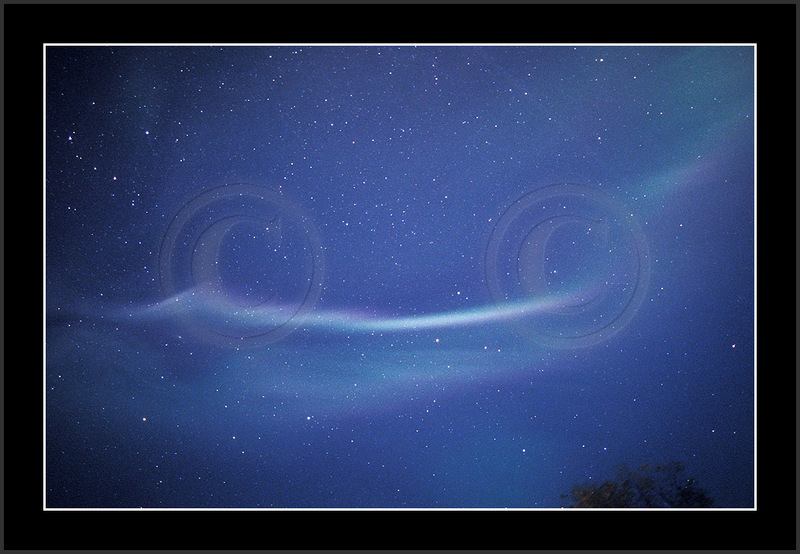 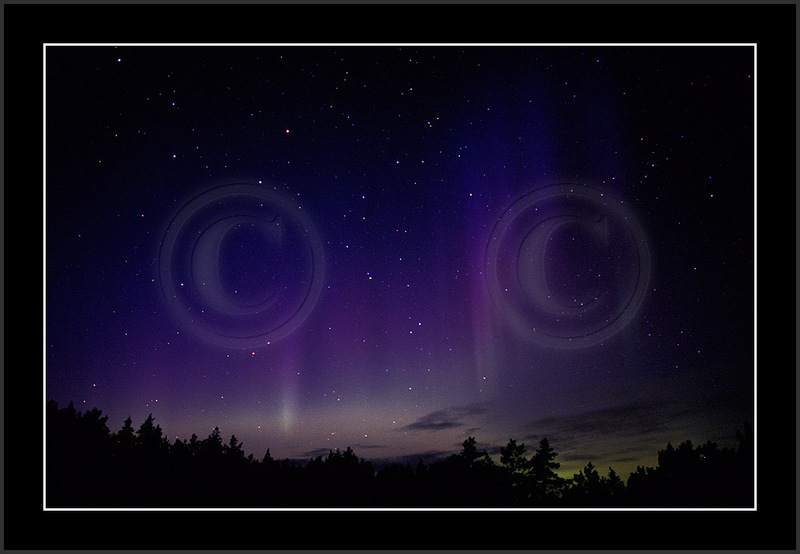 This caused wrong assessment in aurora brightness and as a result 1/3 of images were little or well overexposed. 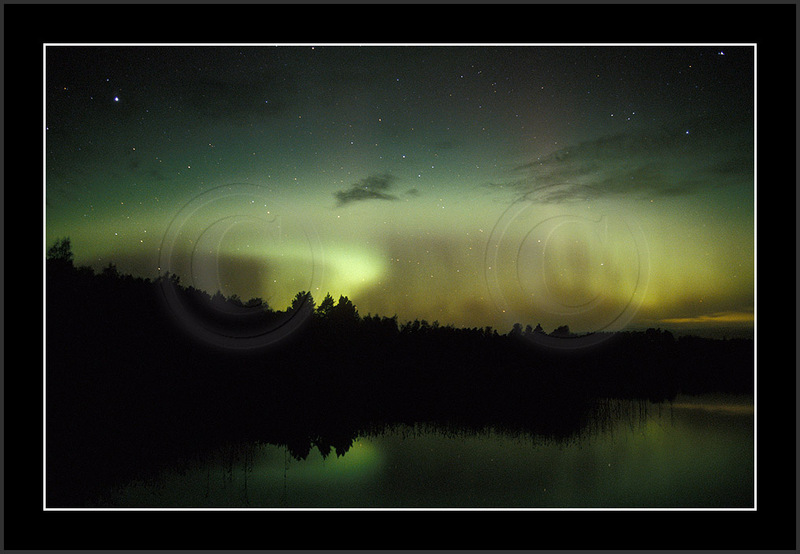 So the display was best seen in the field and these images (re34743-re35444) do not do justice to the beauty of the bright light show. 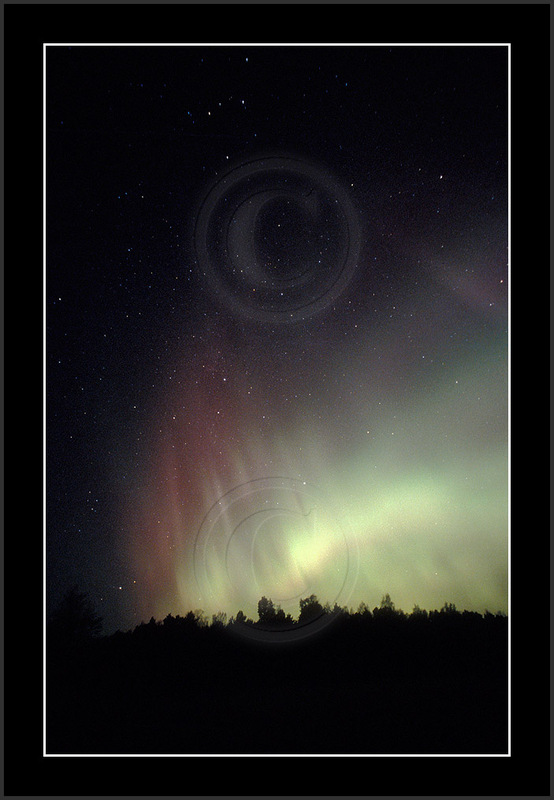 (Night was very windy and as you may notice all tree tops are fuzzy.) 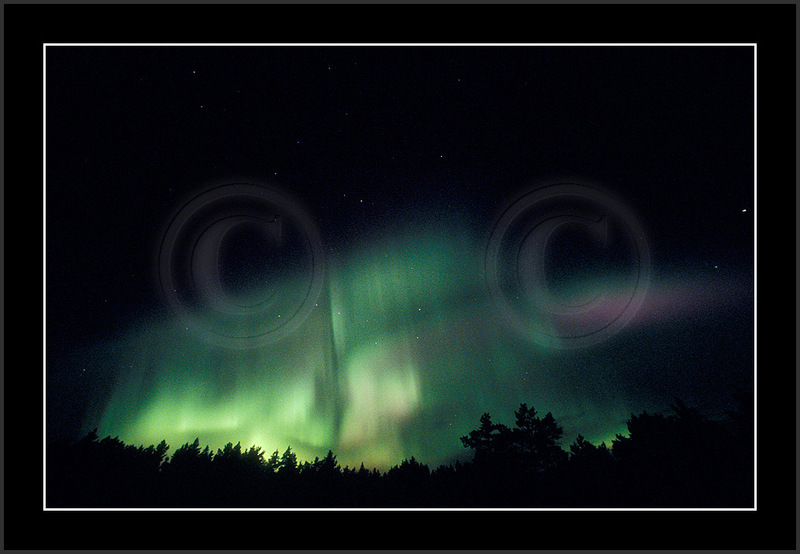 After the eruption there was minor activity and around 02 flaming light waves started to roll to zenith meaning the final phase of the eruption. 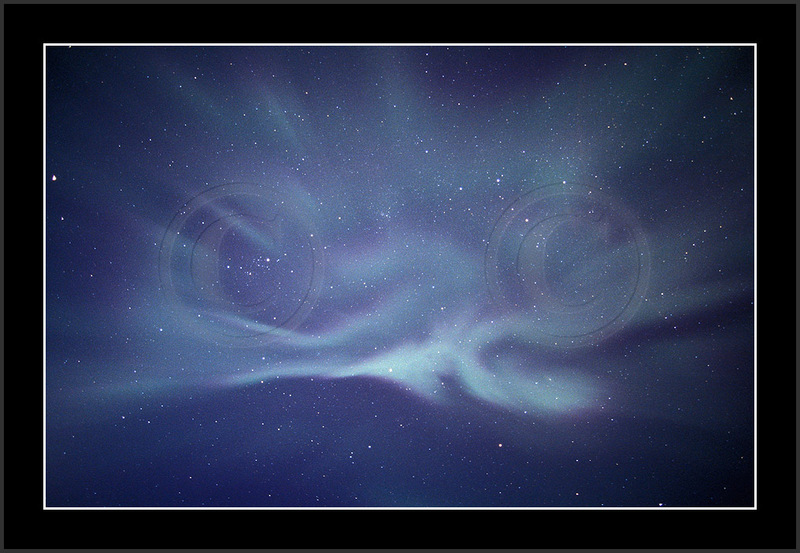 It is worth mentioning that strange looking aurora in re35111 is photographed in SE sky and extents downto 10 degrees above southern horizon (just the right end of the image). 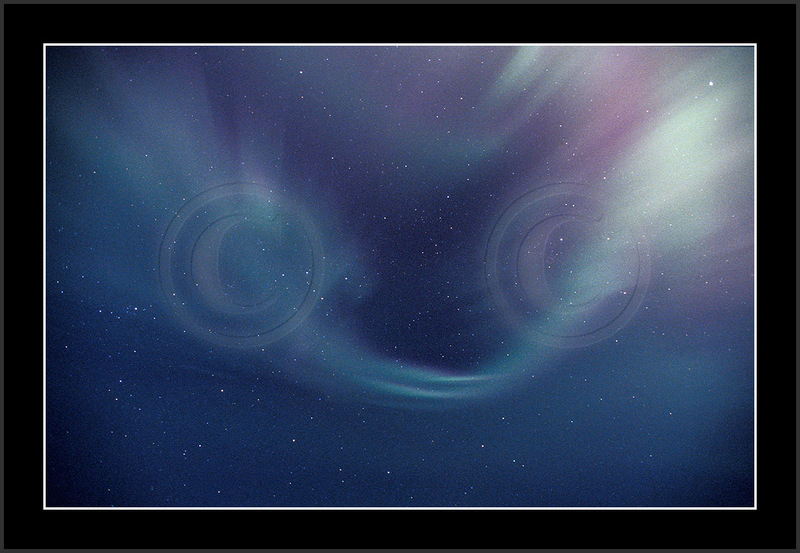 This form did show up after the main eruption. 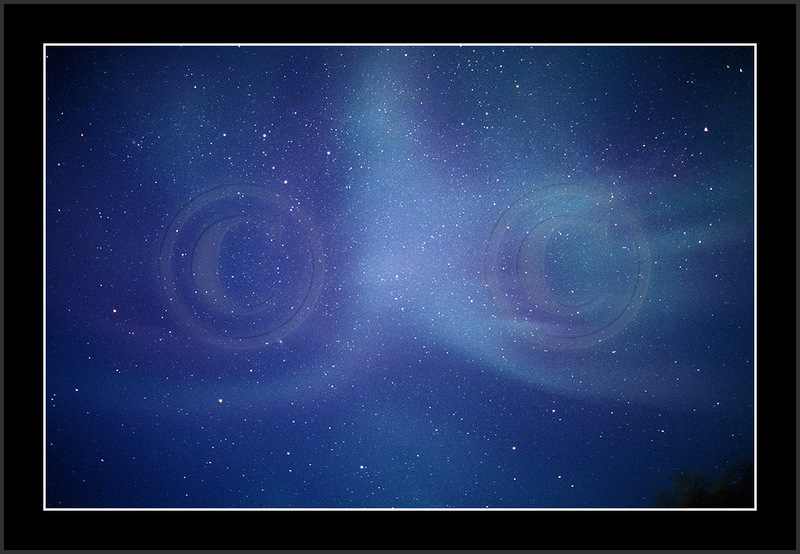 More observations: night 19/20 Oct re35543-re36224; night 20/21 Oct re63433-re36922 and night 21/22 Oct 2003 re37041-... 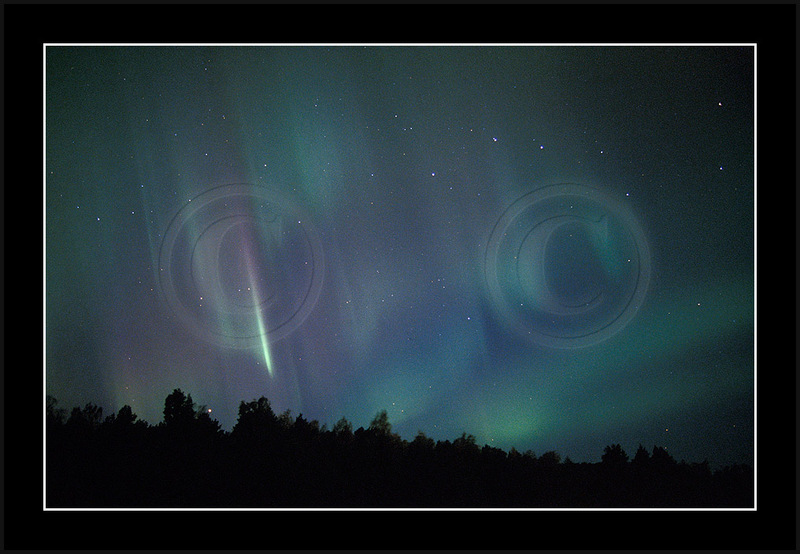 Although activity was persistent, no big displays did take place. 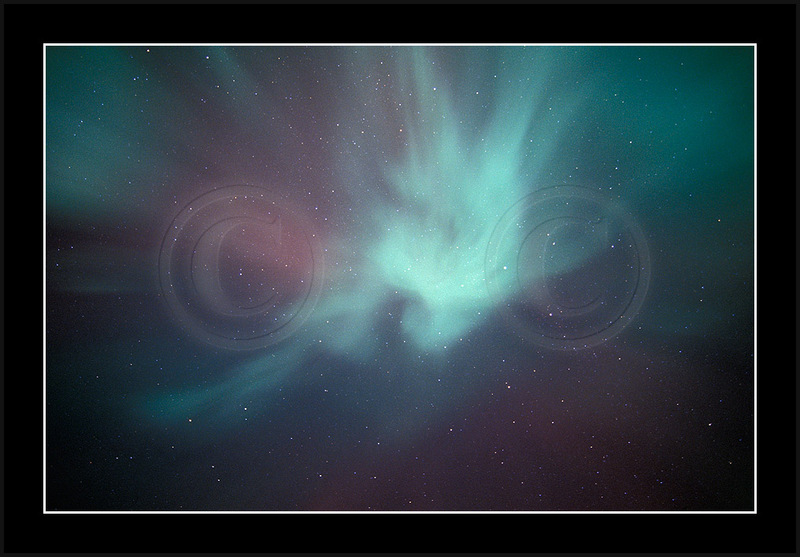 Moreover, displays were almost purely greenish and again f.ex. 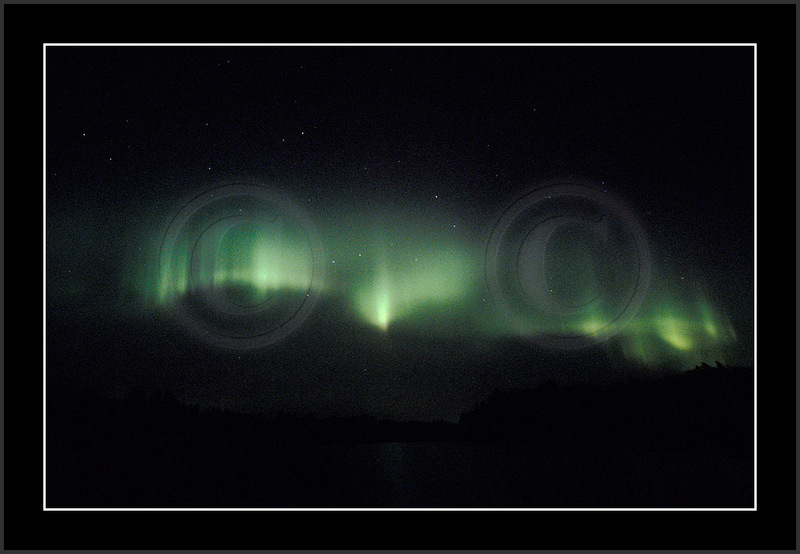 21/22 Oct aurora motion was exceptionally fast and this did not allow to capture fine details, not even during the brightest phase.There was very minor auroral activity in 15/16 Oct and even less again 18/19 Oct. No images from those nights posted. 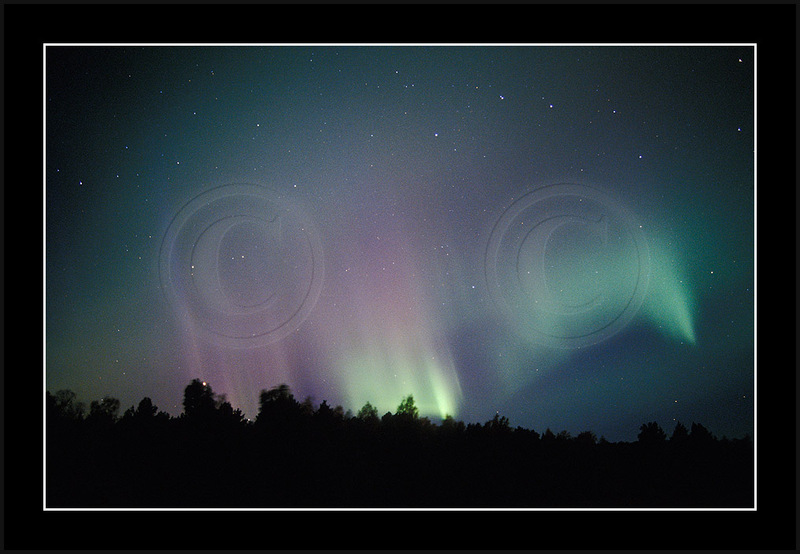 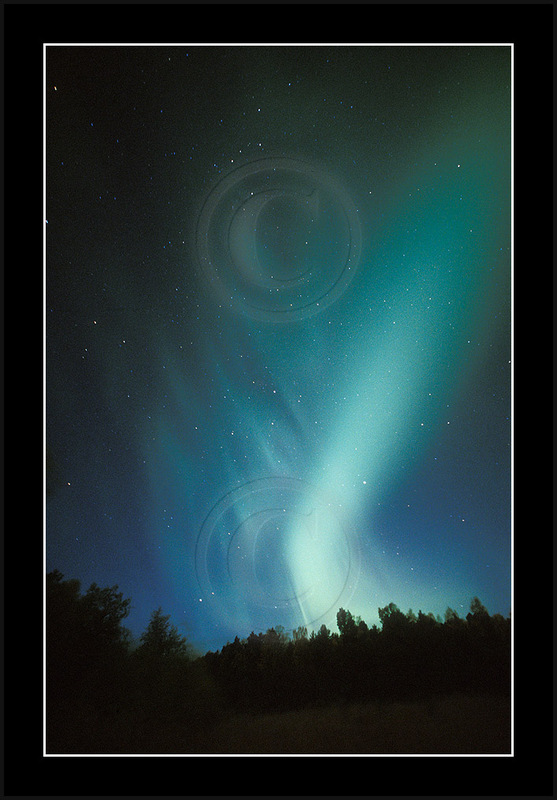 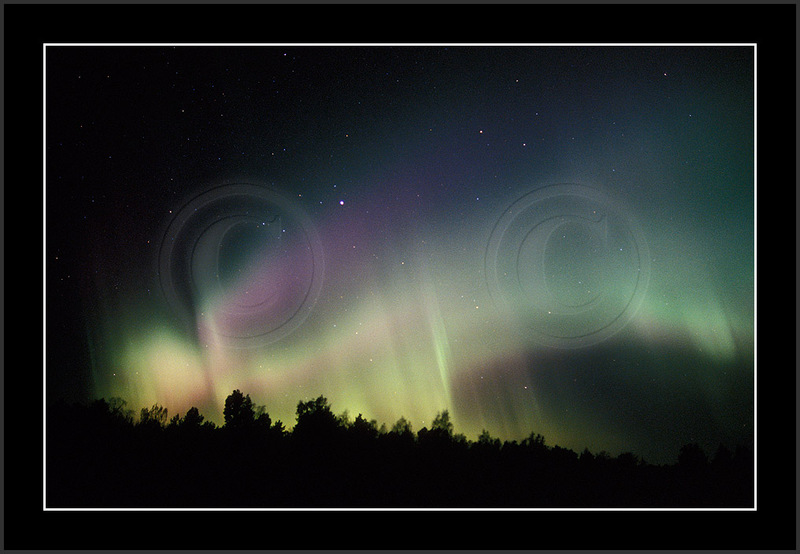 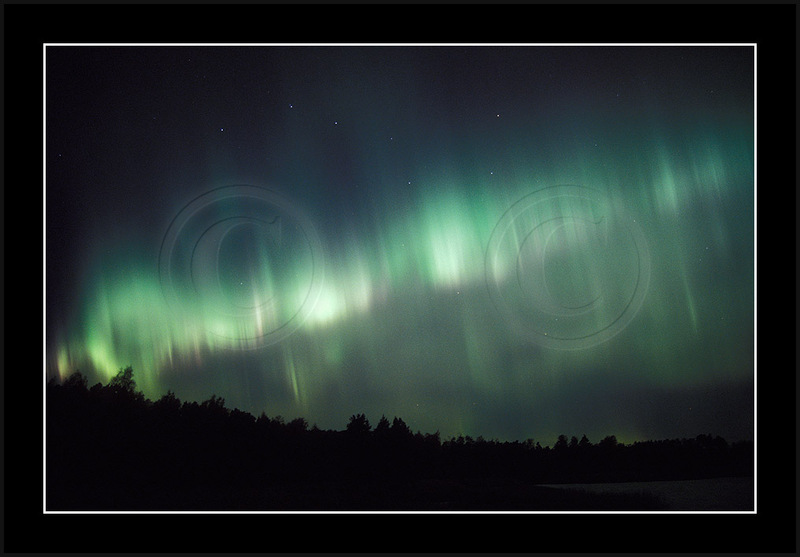 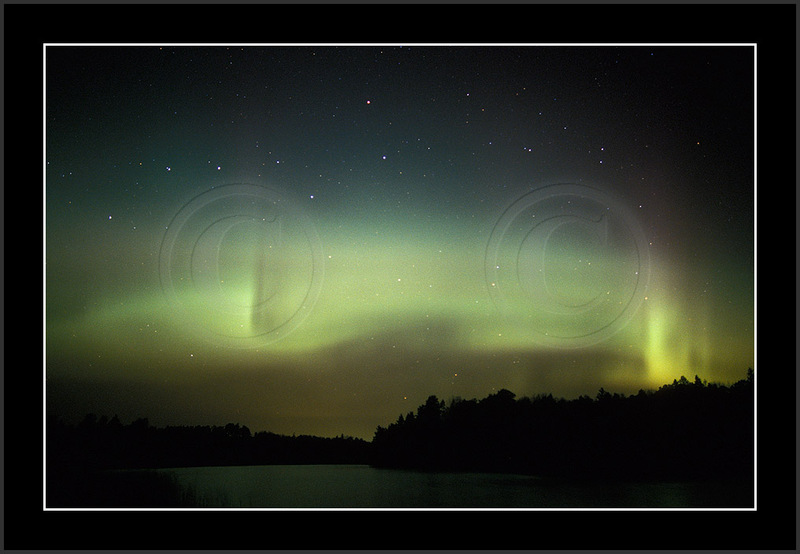 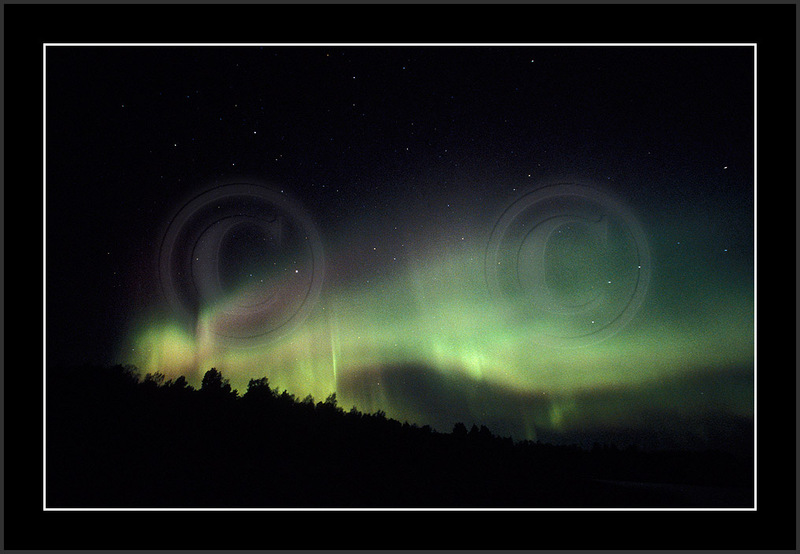 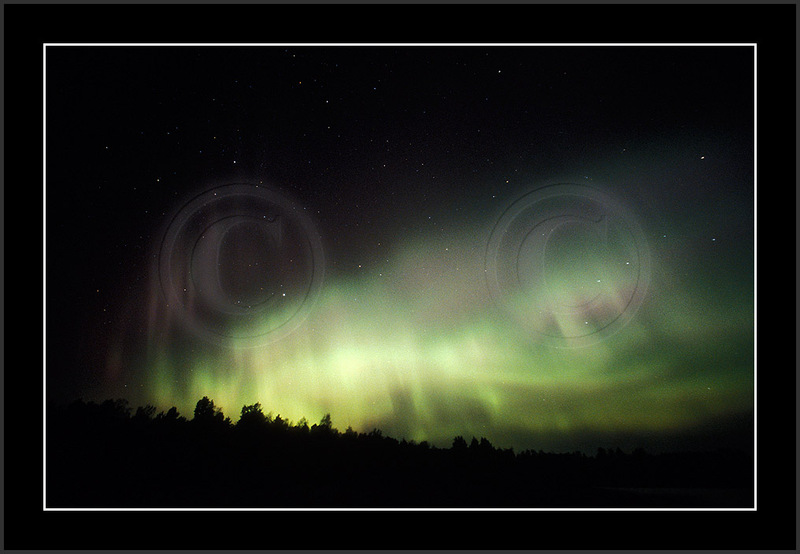 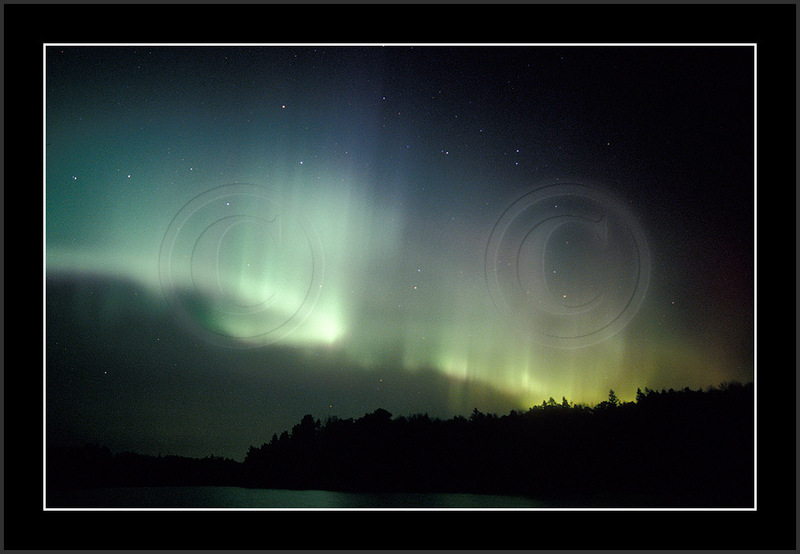 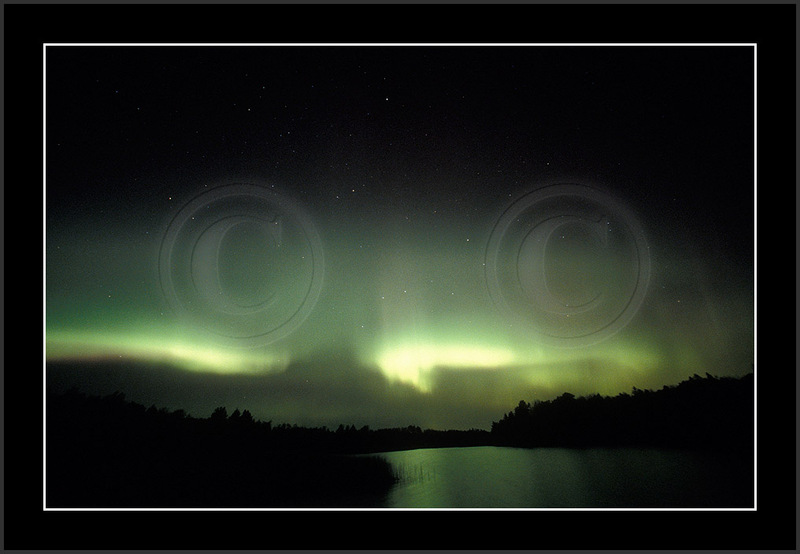 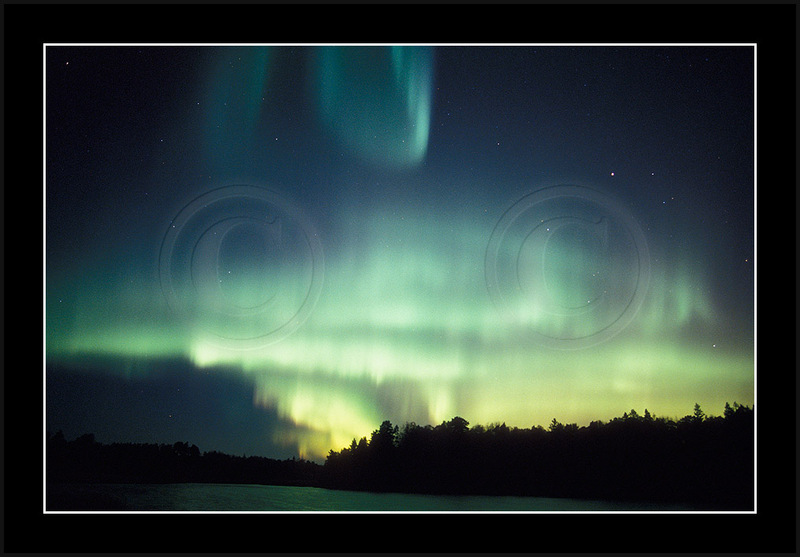 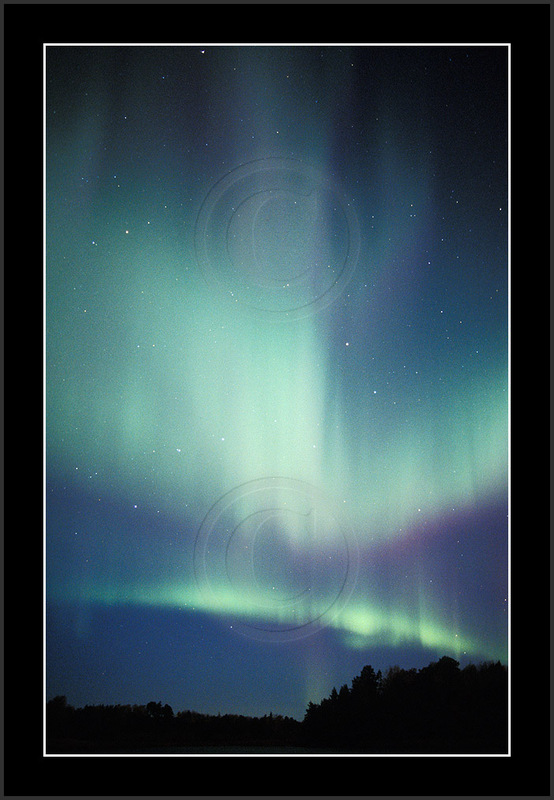 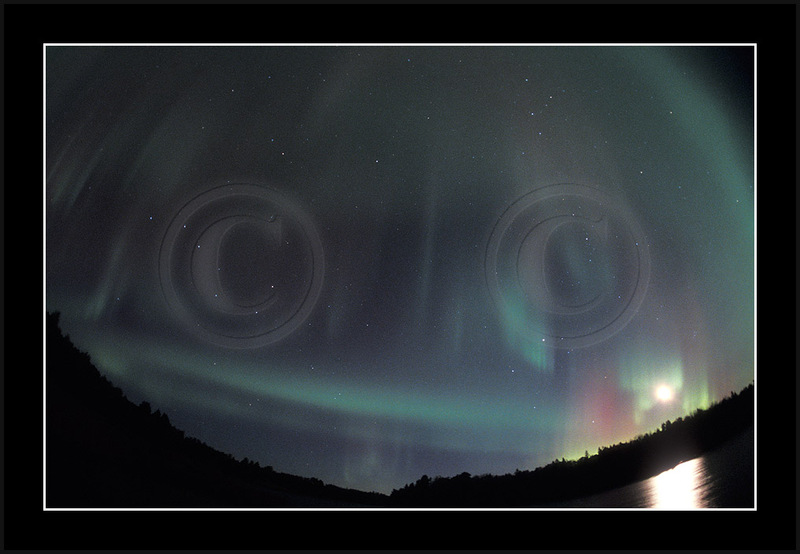 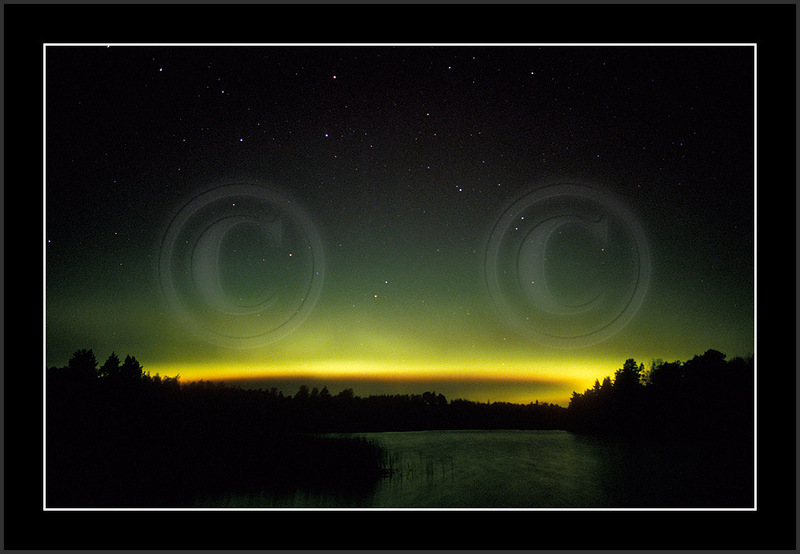 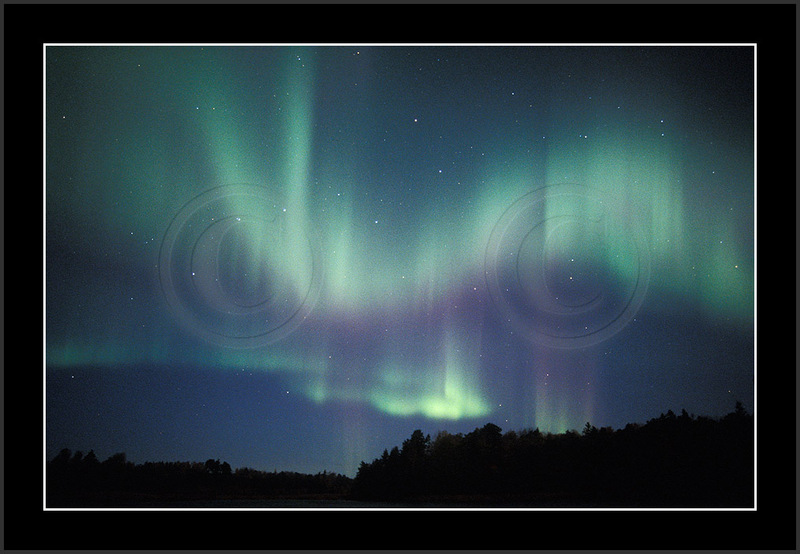 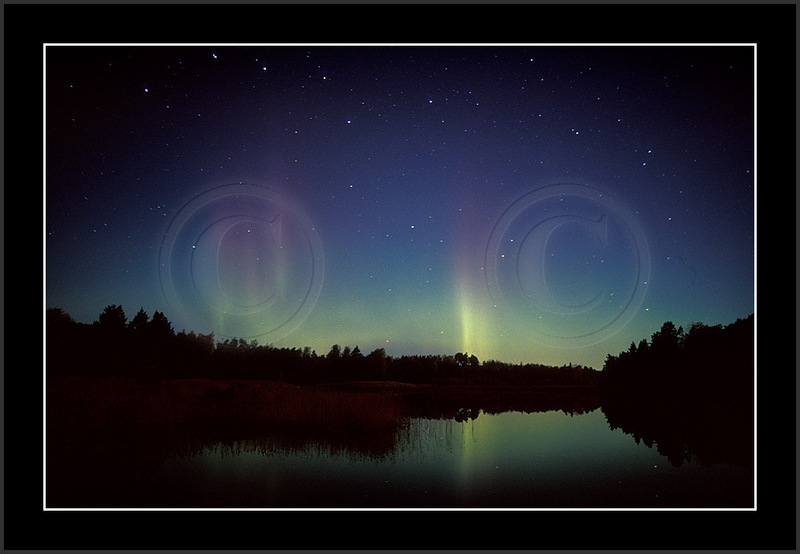 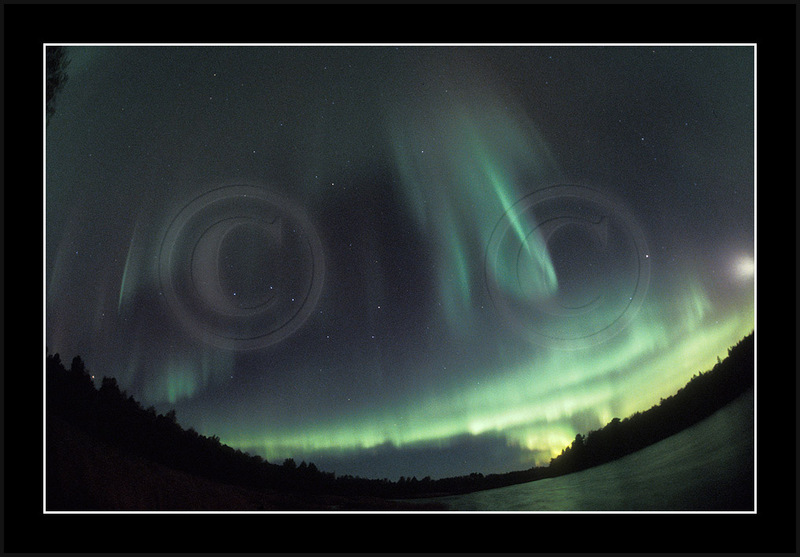 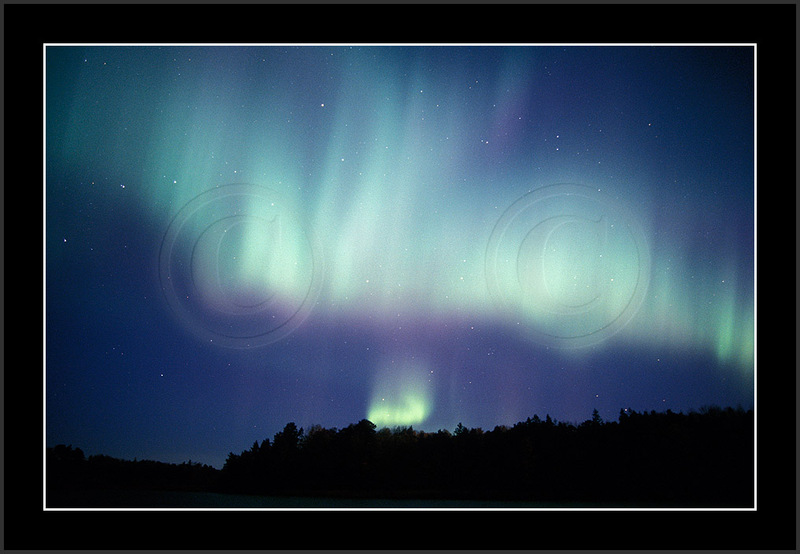 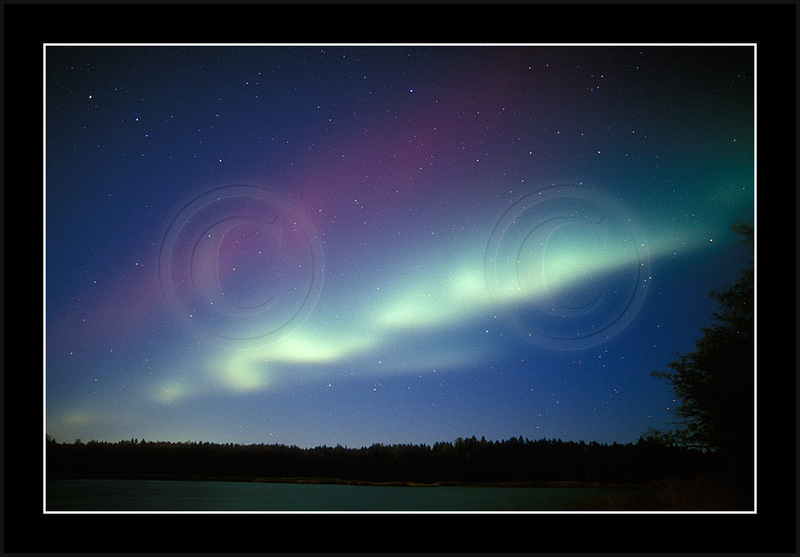 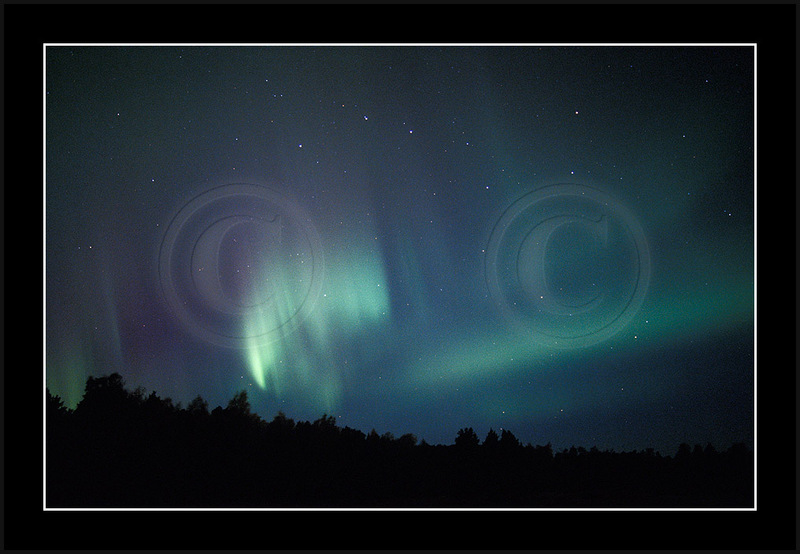 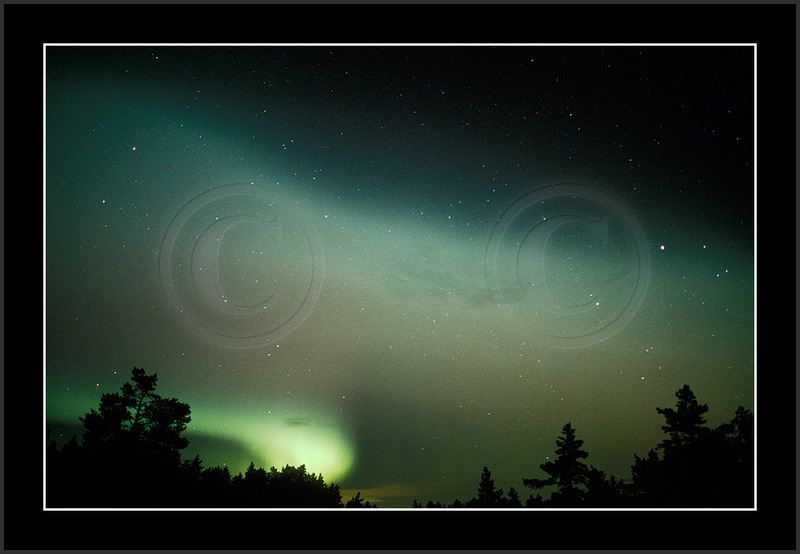 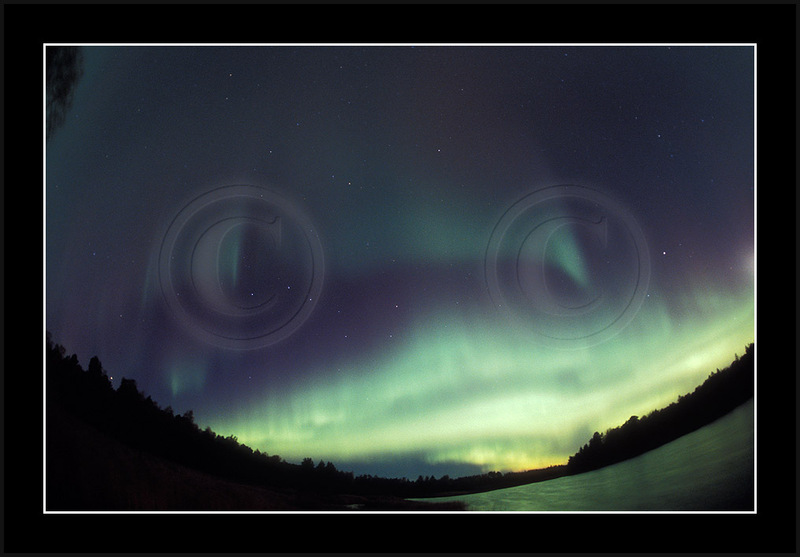 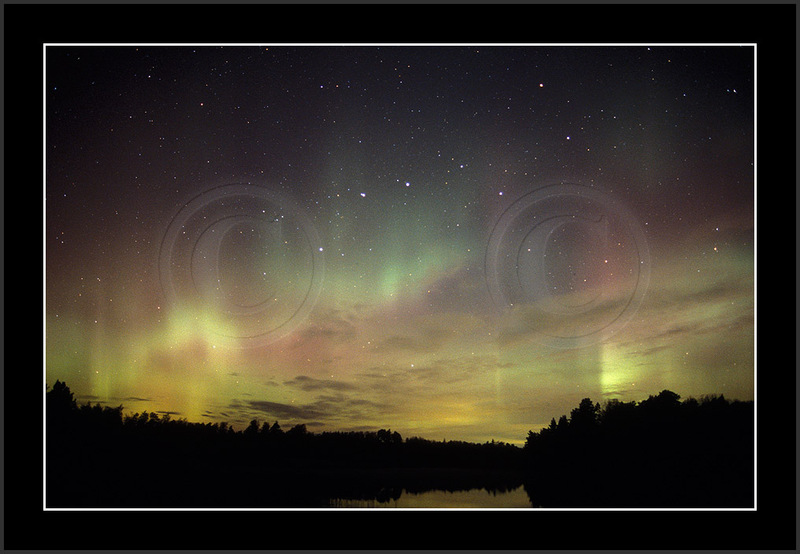 A few samples from night 21/22 Oct 2003, when there were short lived and fiercy eruptions around 20:05 and 00:50 and when auroras persisted till 03 local time. 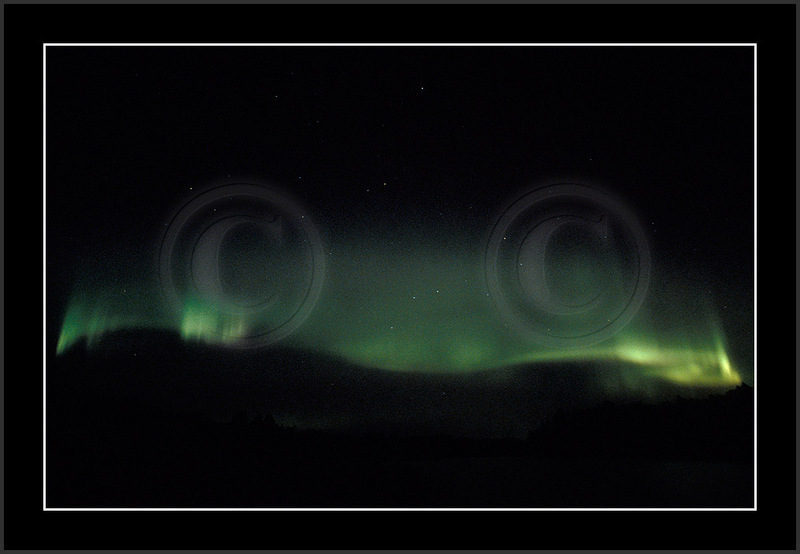 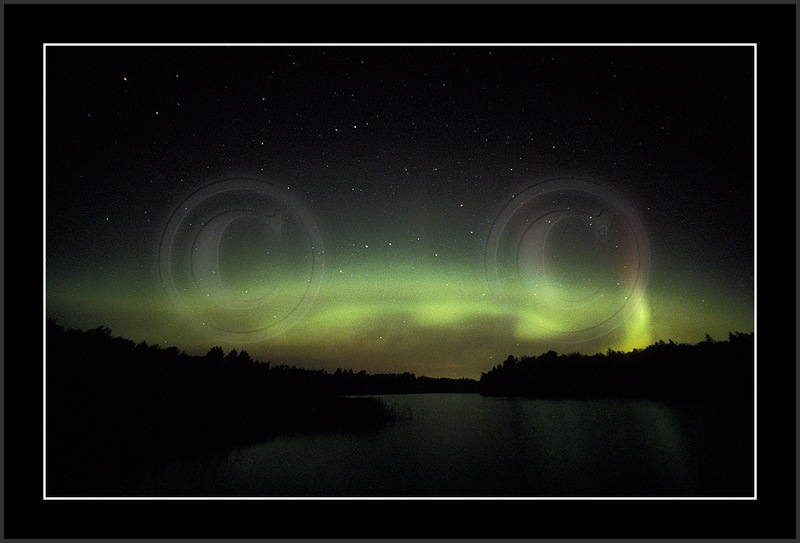 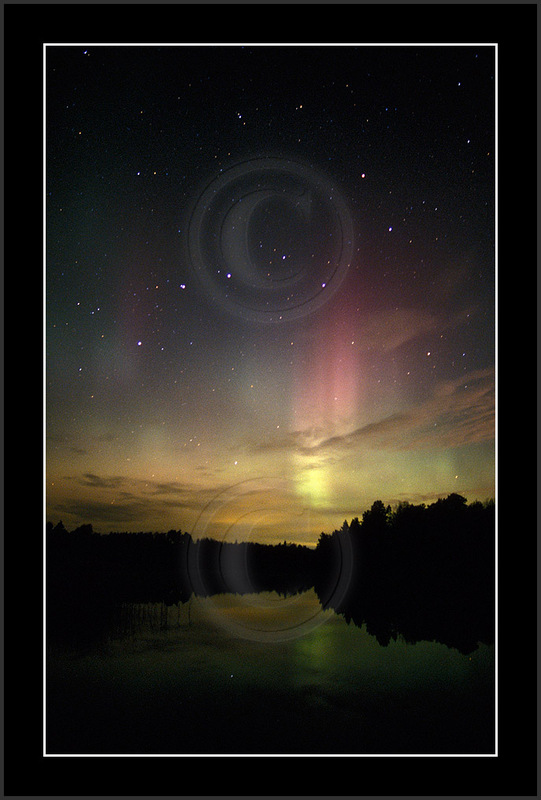 Again, aurora motion was exceptionally fast and this did not allow to capture fine details during the brightest phase.